Those of you who know me know that I am from Roswell, New Mexico. I grew up there, and it was a wonderful place in which to grow up. 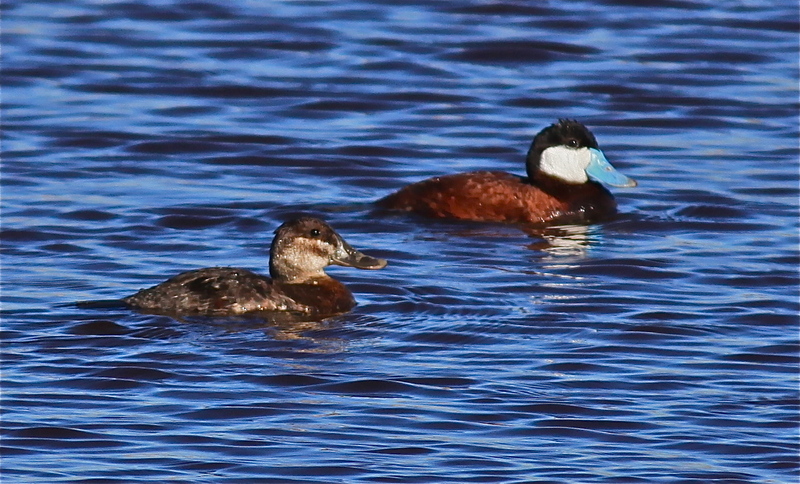 One of the best things about growing up in Roswell was that it is very close to Bitter Lake National Wildlife Refuge. 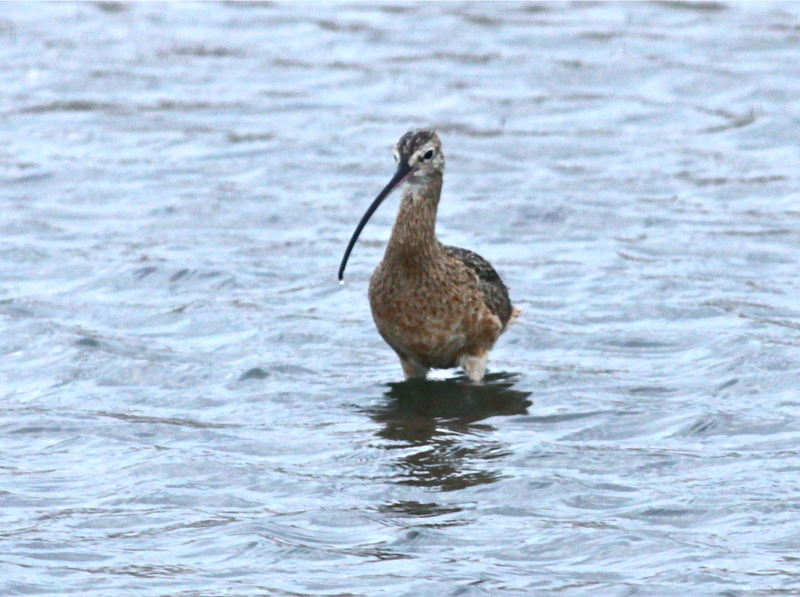 I have previously written about the refuge here and here. 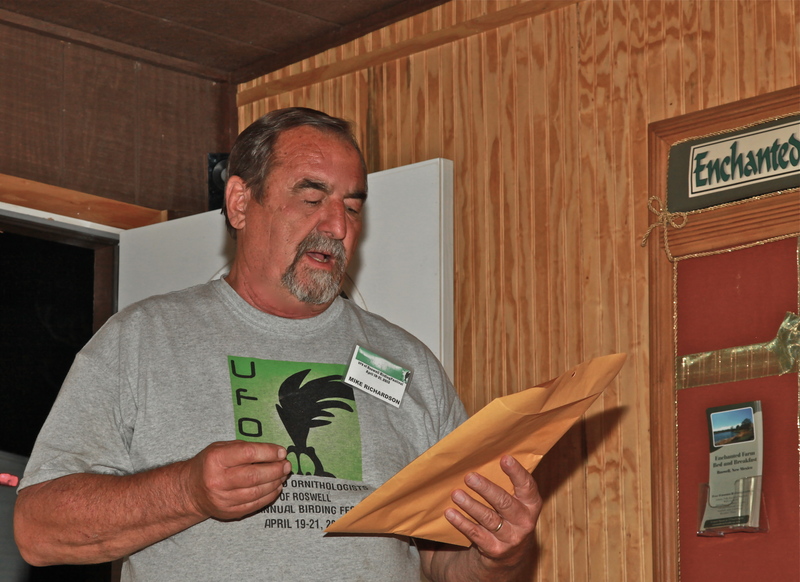 When I learned that the United Field Ornithologists (UFO’s) of Roswell were to hold their very first birding festival, of course I made immediate plans to attend. 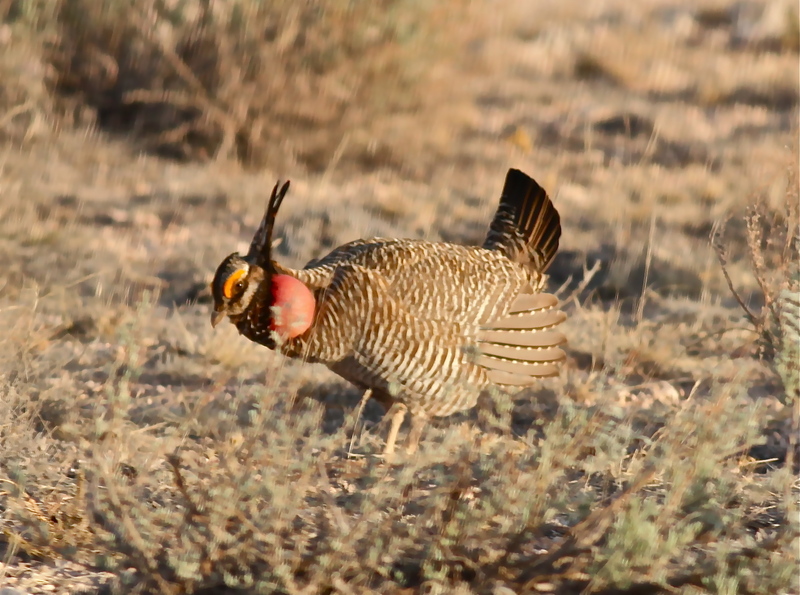 I was excited about the opportunity to visit birding friends in Roswell and to visit a Lesser Prairie Chicken lek. 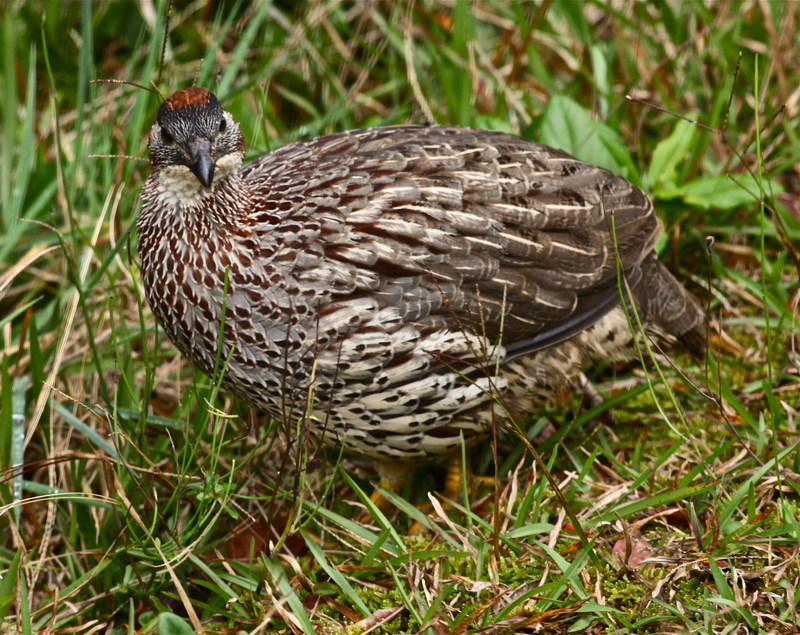 If you have ever visited a lek, you know that it involves getting up very early so that birders can be on the lek and well hidden before the birds come out onto the lek. True to form, we arose at 3:00 a.m. and left for the lek at 4:00 a.m. We were too excited to be tired, although that would be subject to change later on in the day. 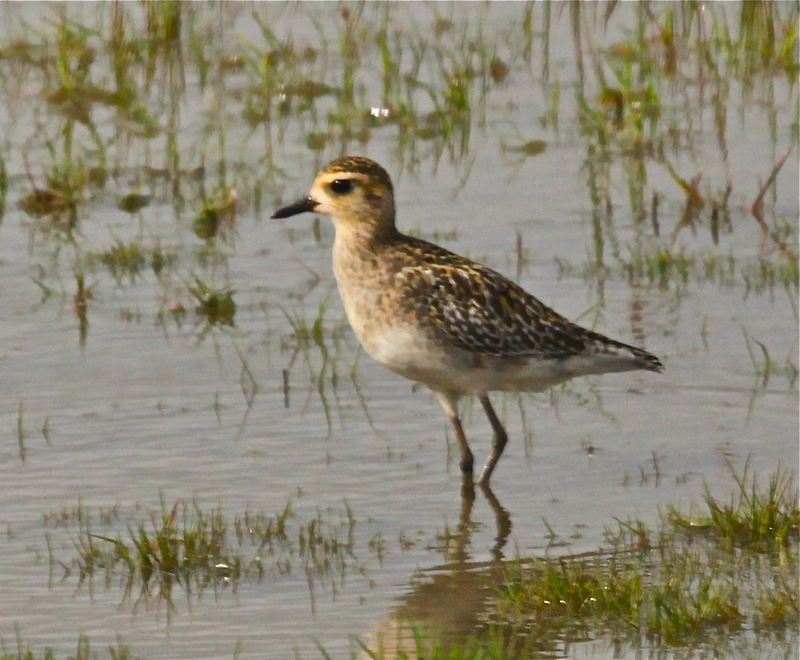 We sat quietly, listening to the birds arriving on the lek. 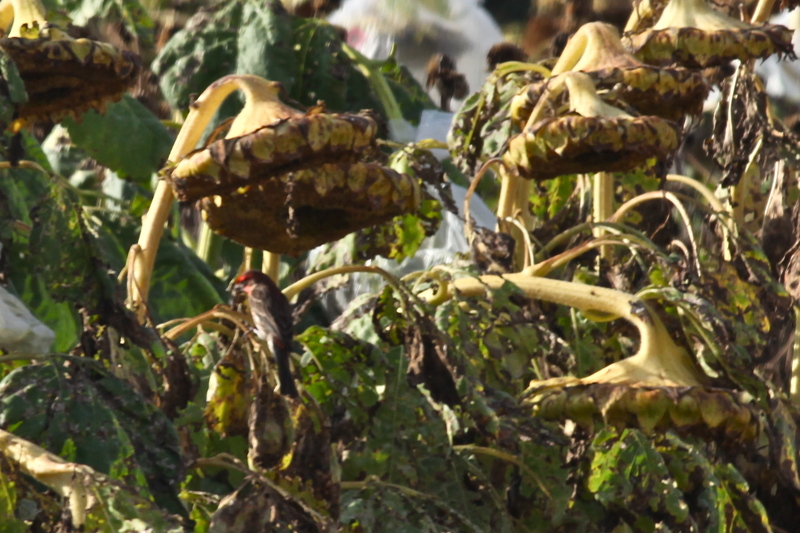 We could hear them, booming and dancing, long before we could see them clearly. 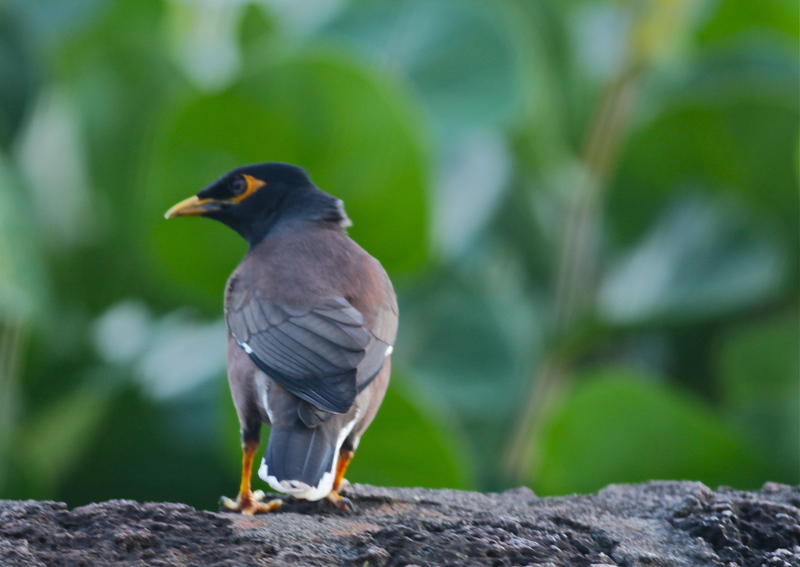 We strained to see the birds in the pre-dawn light, and I struggled to adjust my camera so that I could photograph them. 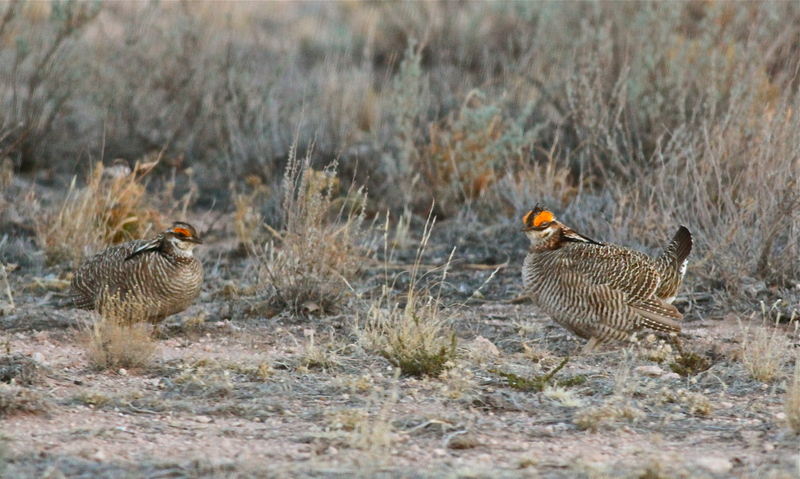 When the sun rose, we were able to get excellent looks at the prairie chickens. 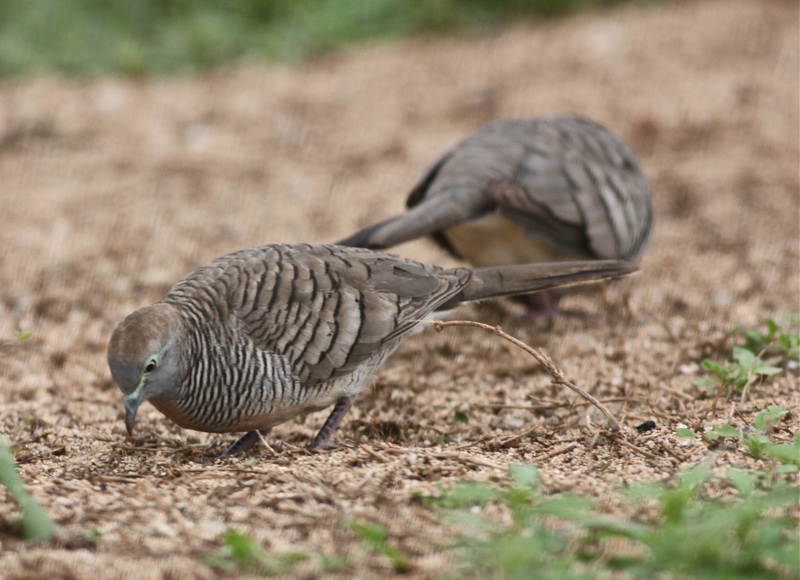 We watched until the prairie chickens were finished with their display, and then we traveled to the Waldrop Park Rest Area, a birding oasis out in the very middle of nowhere. 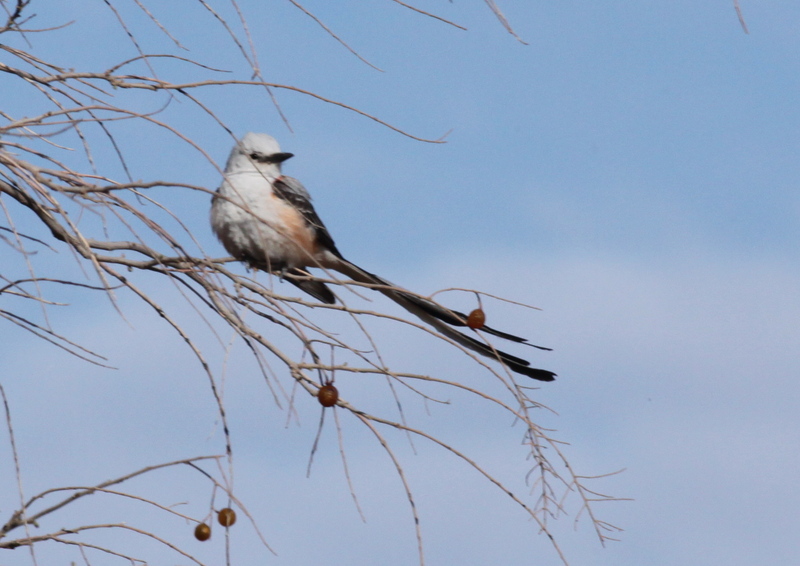 We had been there only a short time when we saw a Scissor-tailed Flycatcher. 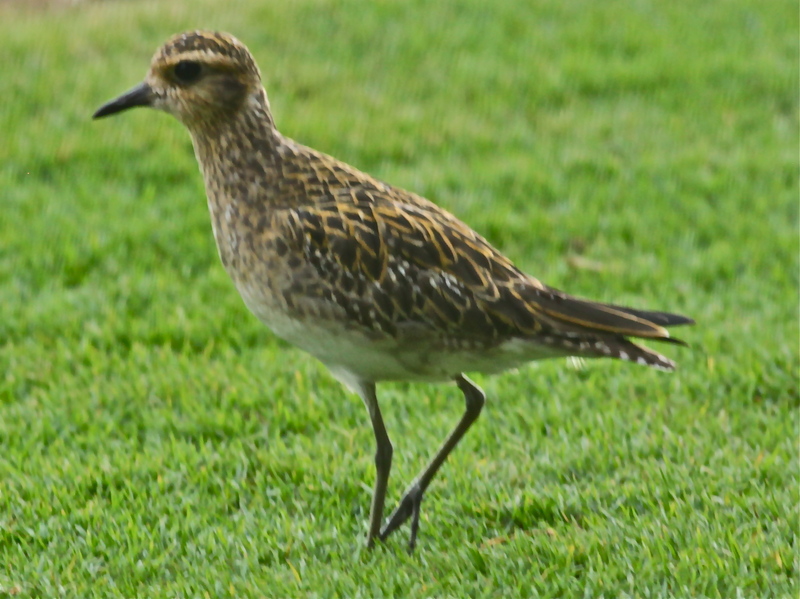 This beautiful bird posed for us and allowed us all good looks at it. 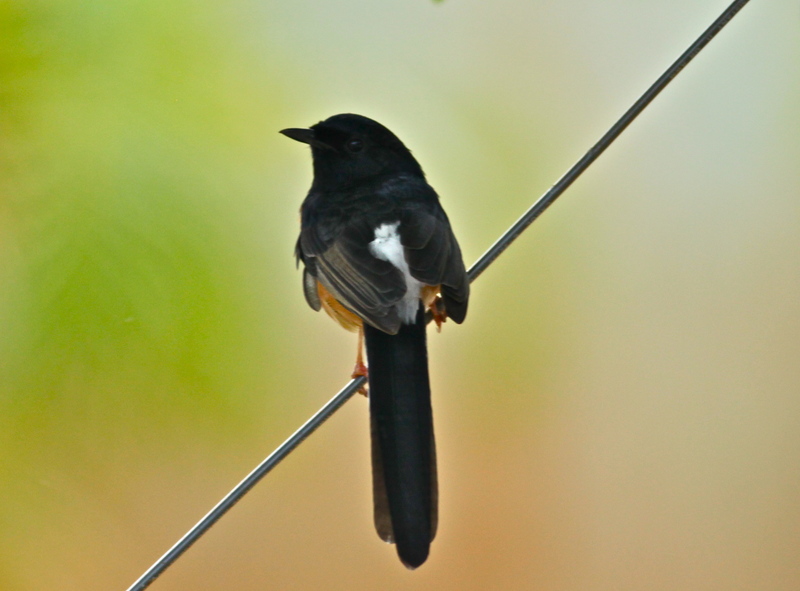 We saw a number of other flycatchers, among them an Ash-throated Flycatcher. 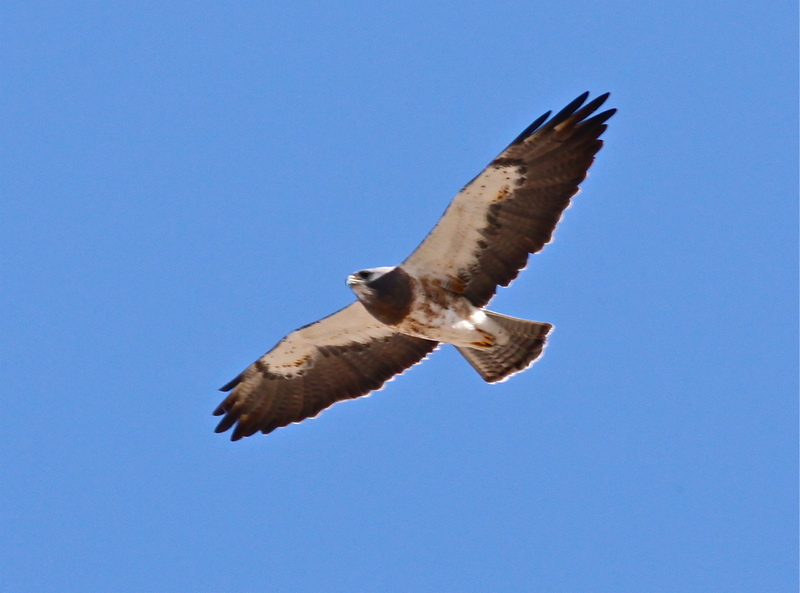 We saw many Swainson’s Hawks in the area. 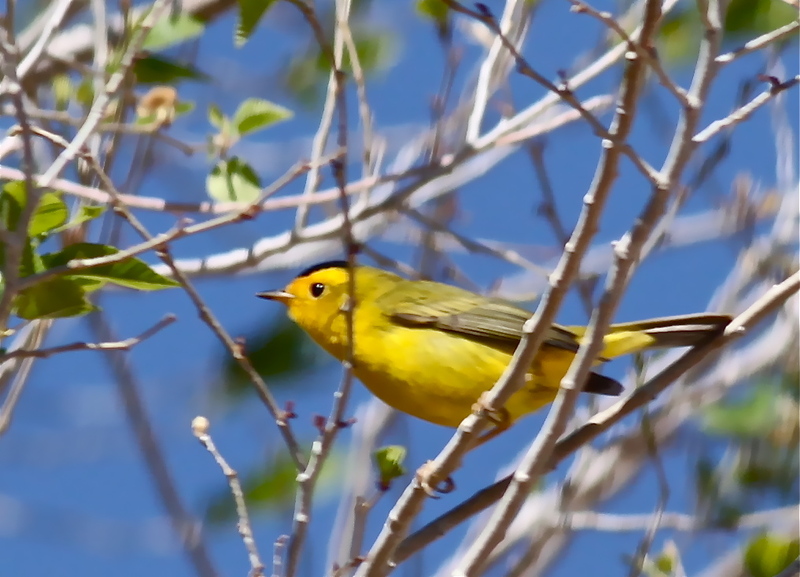 It seemed that wherever we went, we saw pretty Wilson’s Warbler’s flitting through the trees. 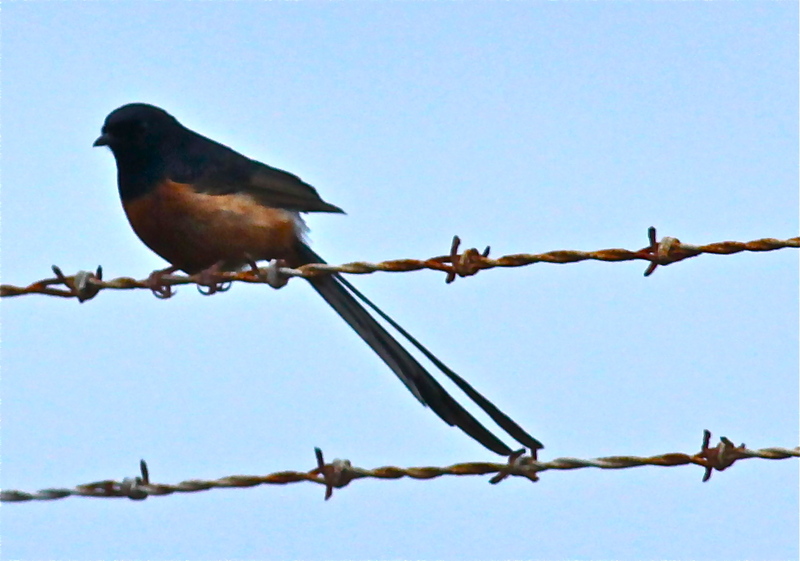 This one was in the small town of Caprock. 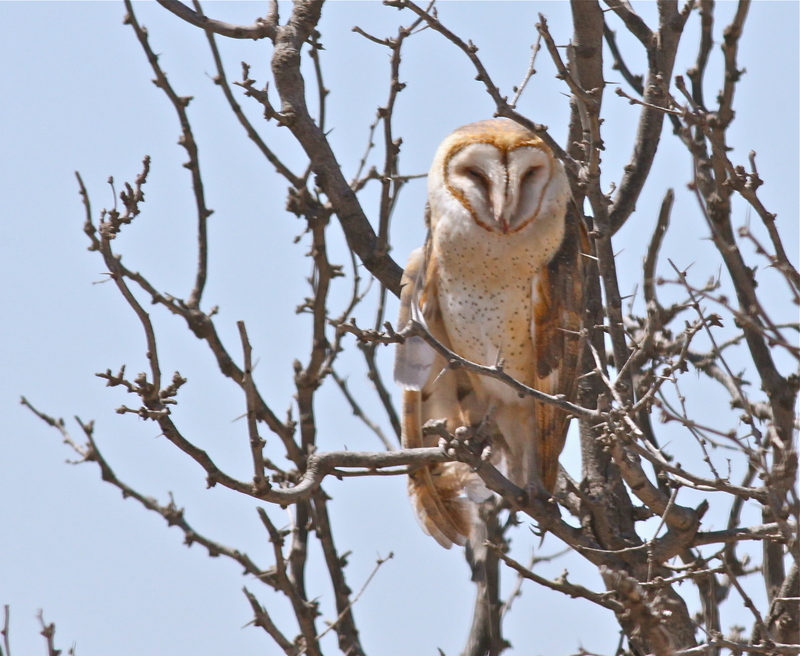 On our way back to Roswell, our sharp-eyed trip leader, Steve Smith, spotted a Barn Owl napping in a tree near the Pecos River. 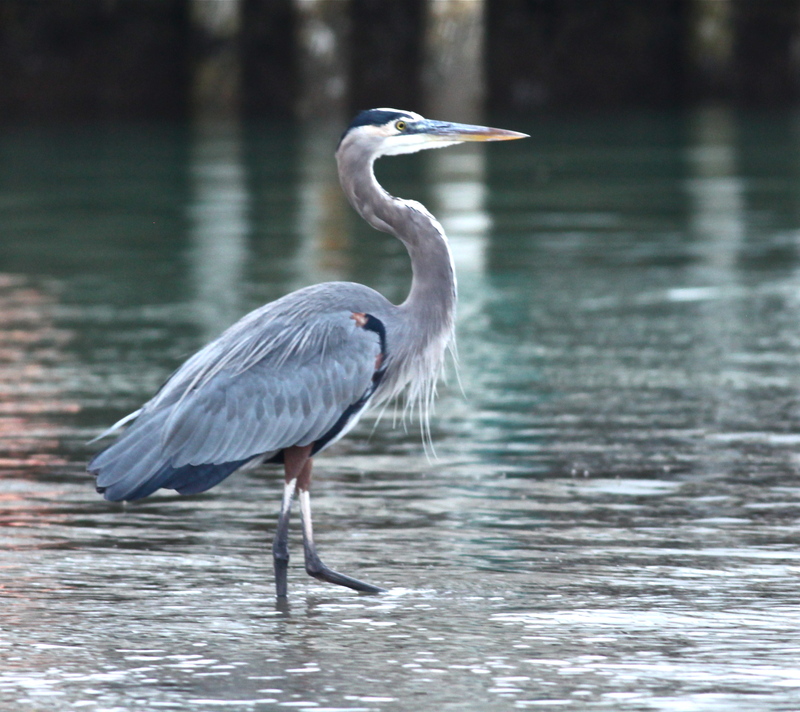 Of course we stopped to admire the beautiful bird. 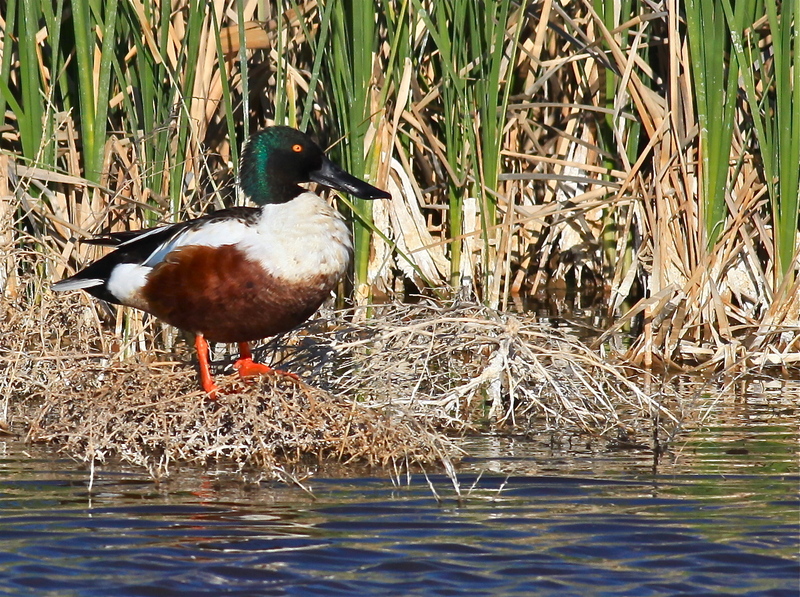 After a short break, we left for an afternoon trip to Bitter Lake National Wildlife Refuge. 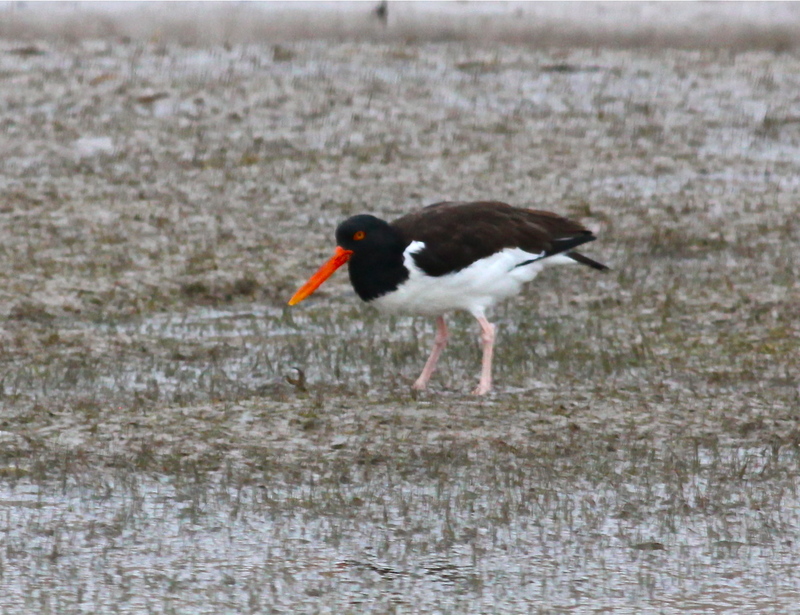 We spent a pleasant afternoon viewing shorebirds at the refuge. 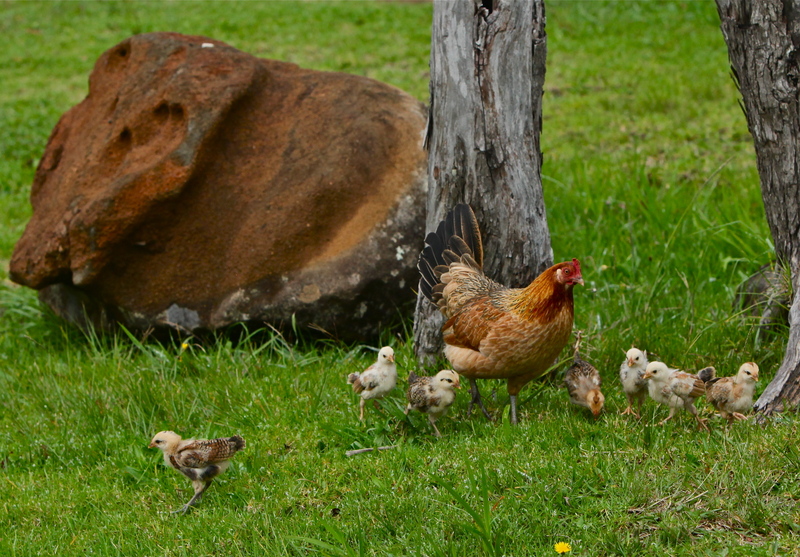 That evening we were treated to a barbecue feast at Retreat at Enchanted Farms, the festival headquarters. 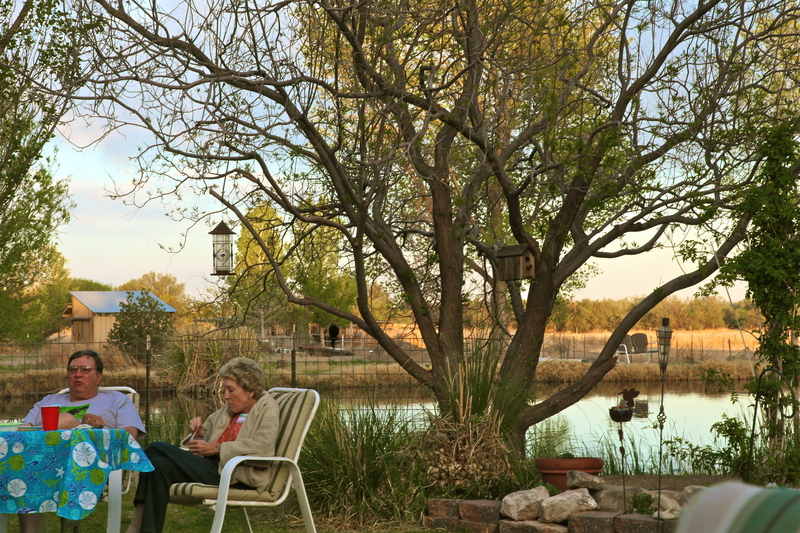 Michael Richardson and Susan Alston-Richardson, Retreat owners, provided wonderful food in a beautiful atmosphere. Delicious food in a beautiful setting. 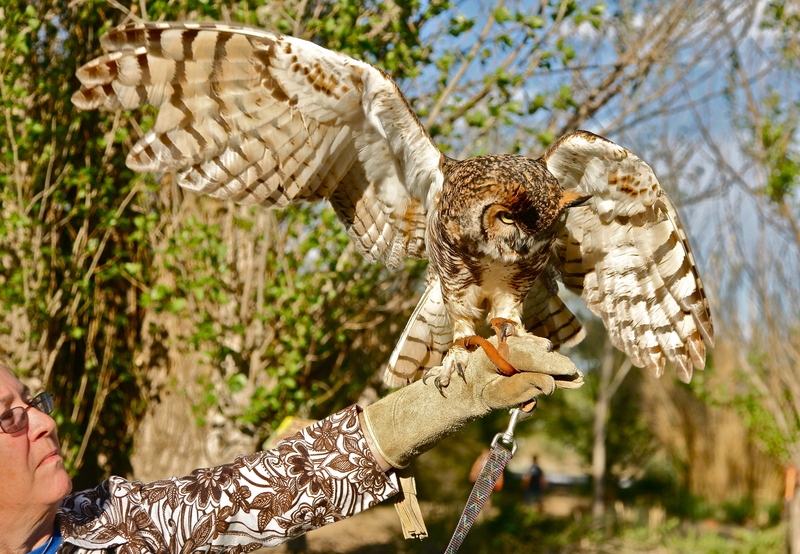 Laney Wilkins from the Spring River Zoo in Roswell brought Frodo the Great Horned Owl for us to admire. Finally it was time for the evening’s entertainment. 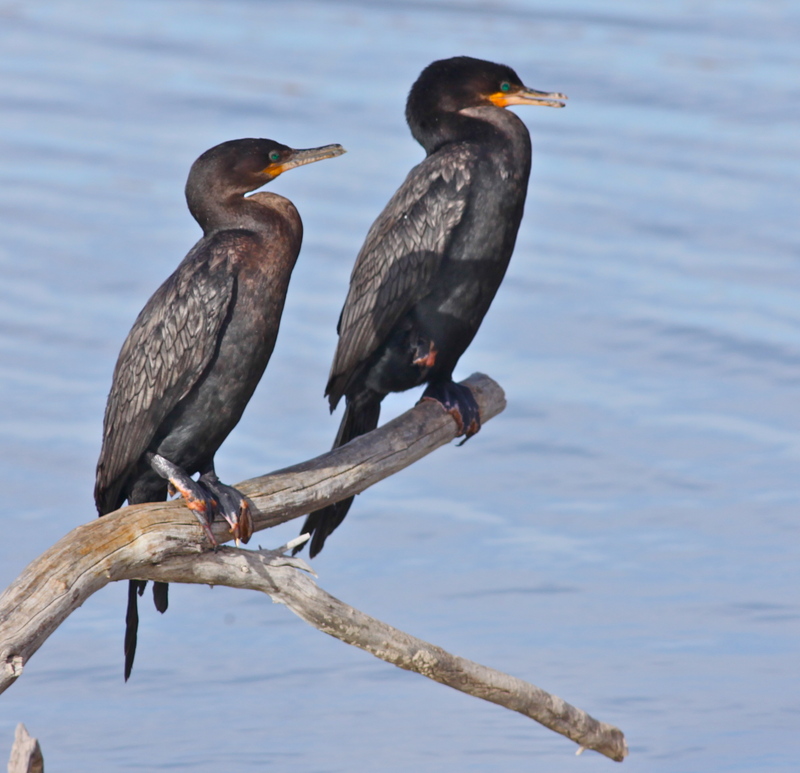 Michael Richardson introduced Professor Avian Guano, Bir.D, one of the many aliases of wildlife educator Denny Olson, also known as Doc Wild. 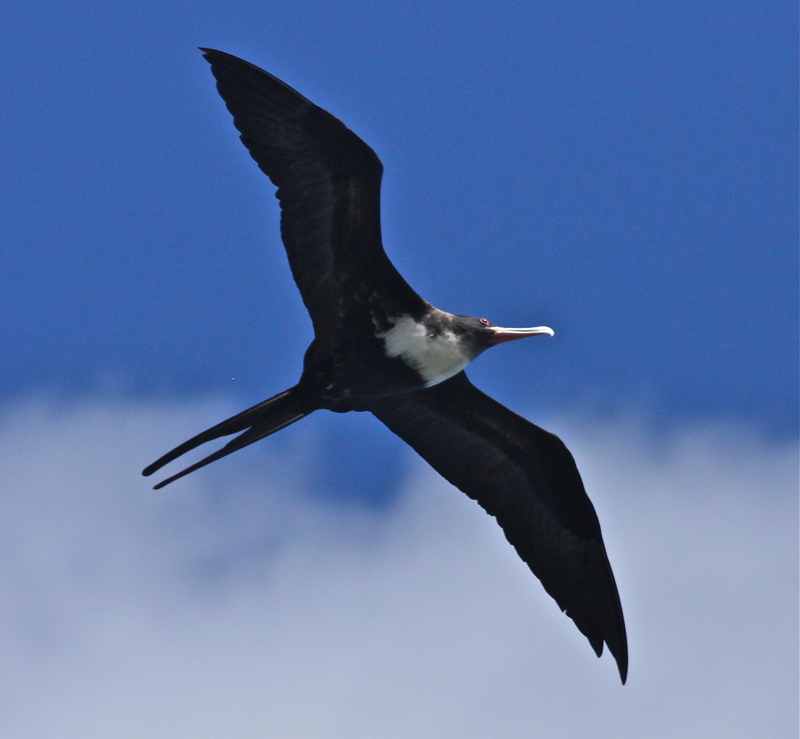 Denny Olson entertained us with Professor Guano’s antics, and we learned a great deal about bird behavior during the evening. 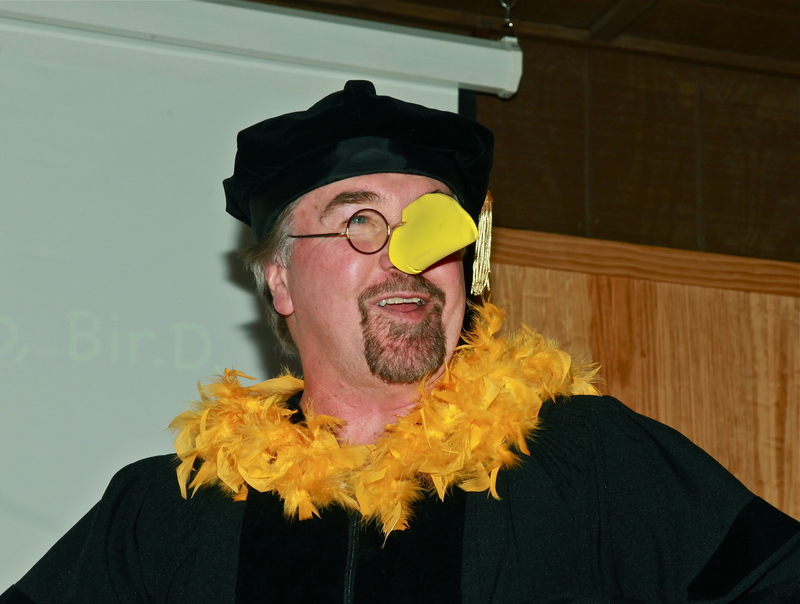 Denny Olson as Professor Avian Guano, Bir.D. 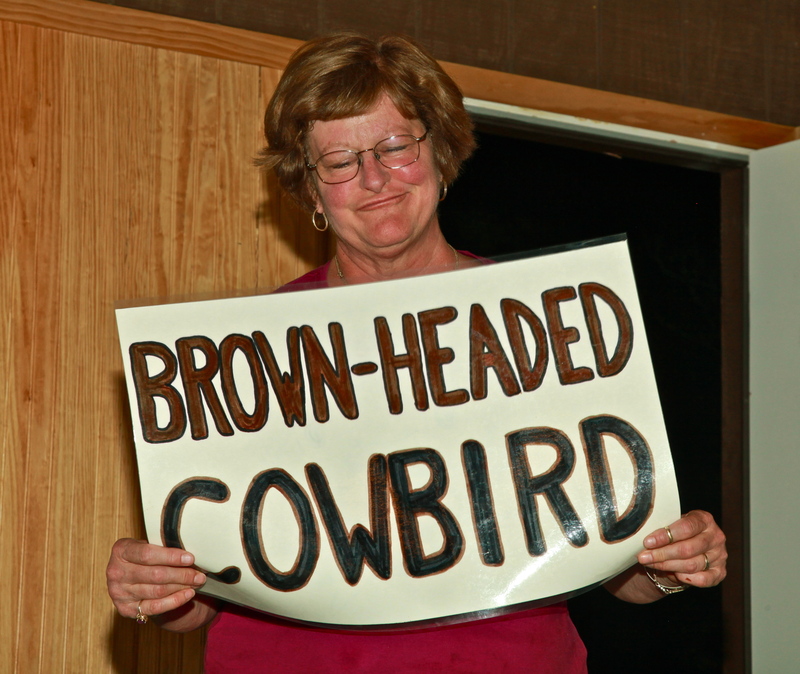 Susan Alston-Richardson appears to be a bit dismayed at being labeled a Brown-headed Cowbird. 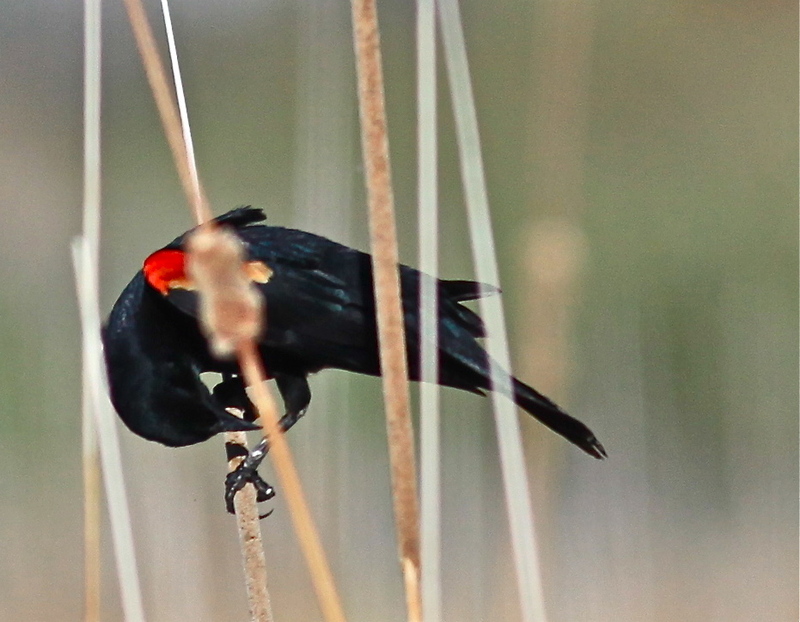 Susan Alston-Richardson is not really a Brown-headed Cowbird. After the evening’s entertainment came to a close, we headed off to get a few hours of sleep before the next day’s activities, which would be a trip to Rattlesnake Springs and Washington Ranch. 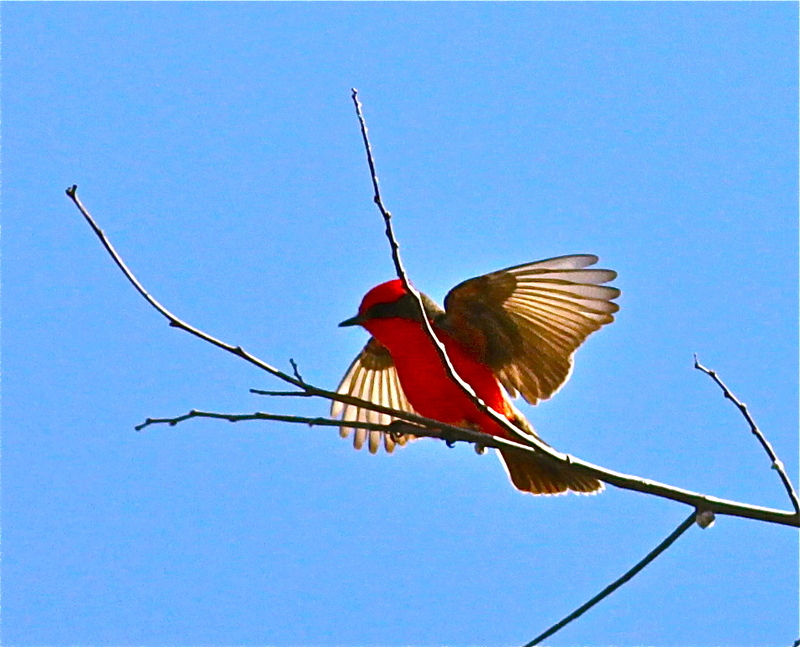 I was very excited to go to Rattlesnake Springs the next morning, as there had been reports of Vermilion Flycatchers in the area. 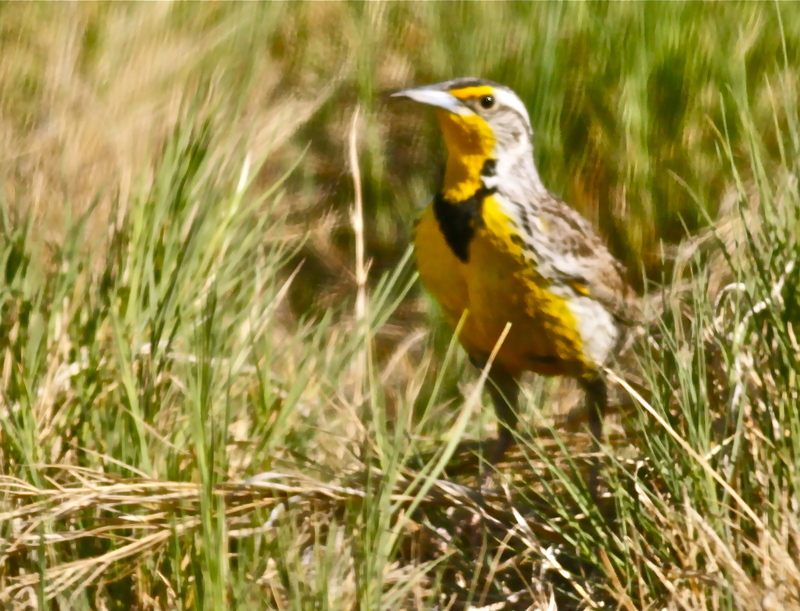 Rattlesnake Springs, part of Carlsbad Caverns National Park, is an Important Bird Area and outstanding stopover site for land birds. 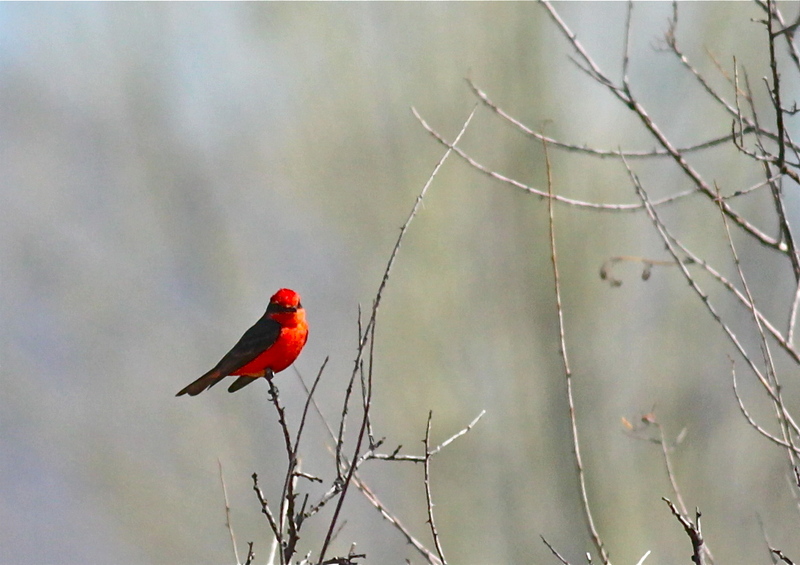 The historic 80-acre New Mexico wetland features up-welling groundwater that draws Mexican vagrants as well as eastern and western birds, such as Painted Buntings, Vermilion Flycatchers, Summer Tanagers, and Yellow-billed Cuckoos. 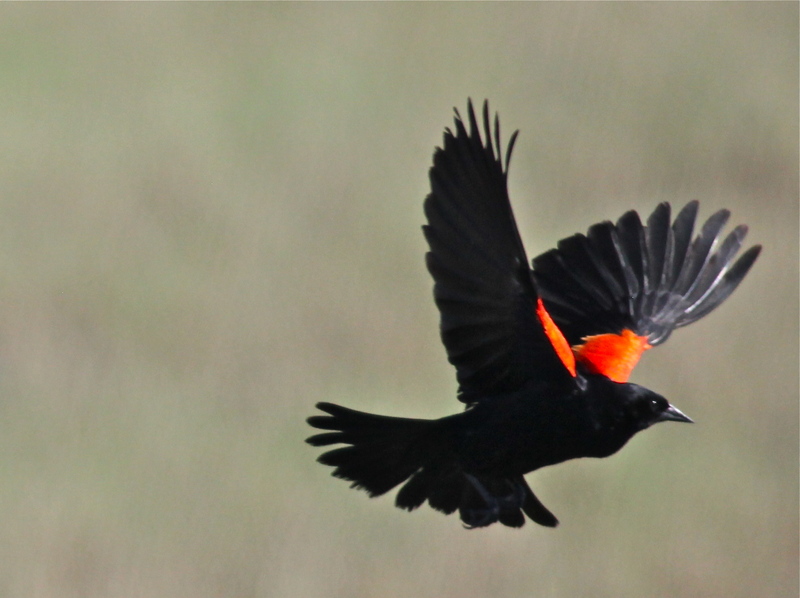 We were led by Steve West, resident naturalist at Rattlesnake Springs, and surely enough, we saw a number of the little beauties. 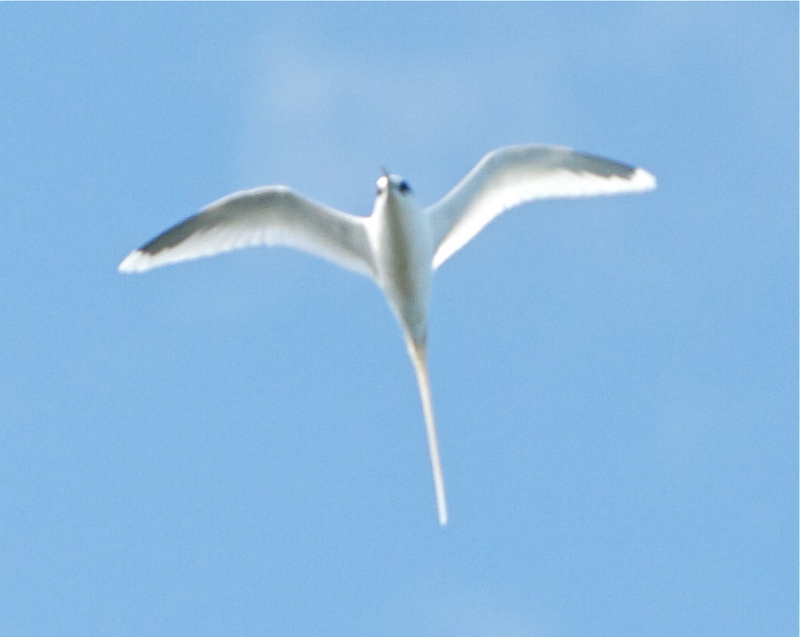 Although this image is backlit, I like the look of the sun shining through the bird’s wings. 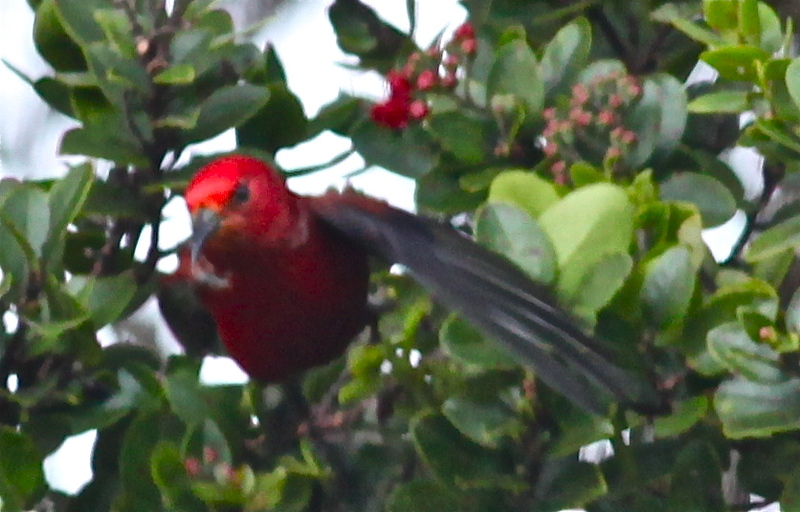 We continued to see flashes of red throughout the morning. 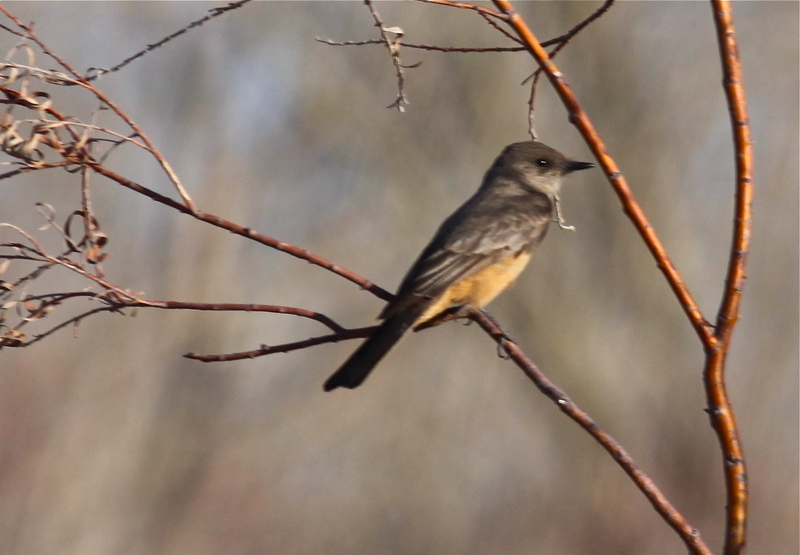 We saw flycatchers, warblers and tanagers at Rattlesnake Springs, but most of them were too deep in the branches of thick trees for me to get decent photos. After a beautiful morning at Rattlesnake Springs, we had a lovely picnic lunch at the pond there. 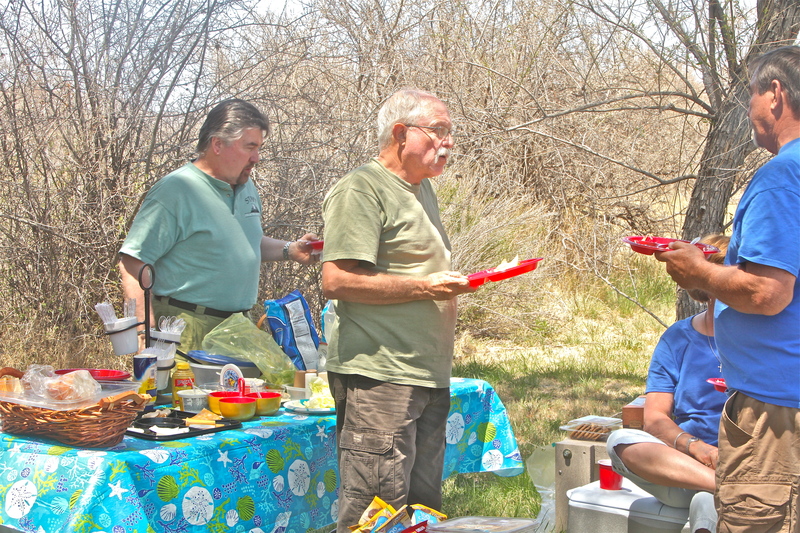 Everyone was much happier about the delicious lunch than this photo might suggest. 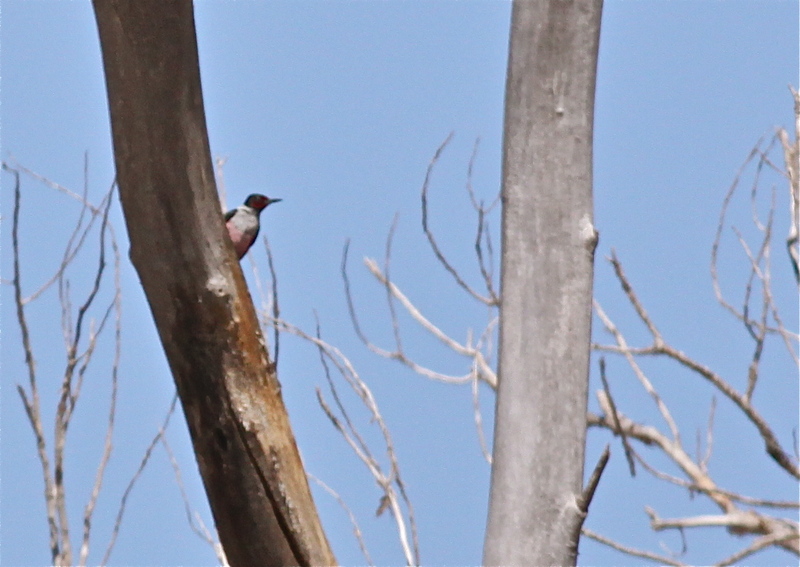 Our last stop of the day was at Washington Ranch, another site near Rattlesnake Springs, to look for a Lewis’s Woodpecker. 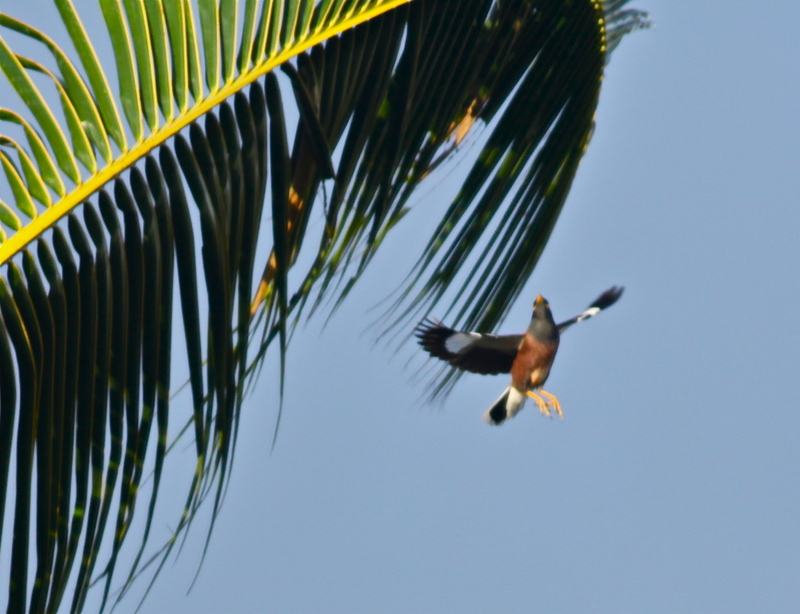 We found the bird almost immediately, although unfortunately it was almost beyond the range of my lens. 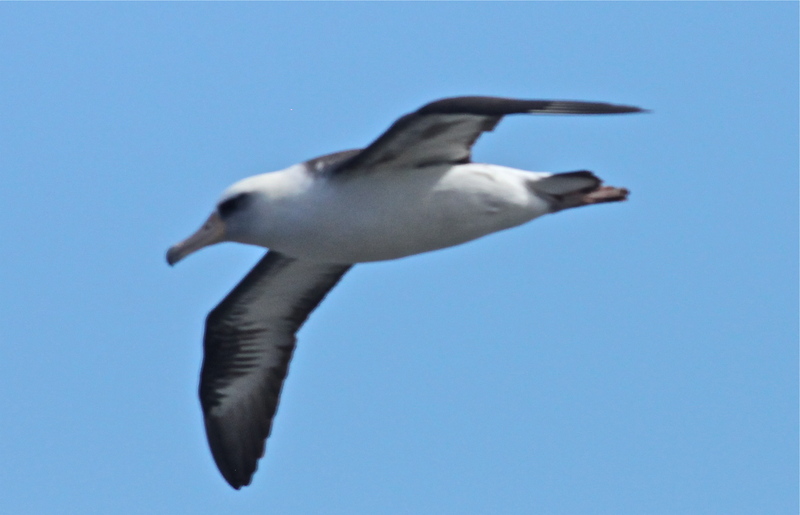 I did get a photo that was good enough to identify the bird. 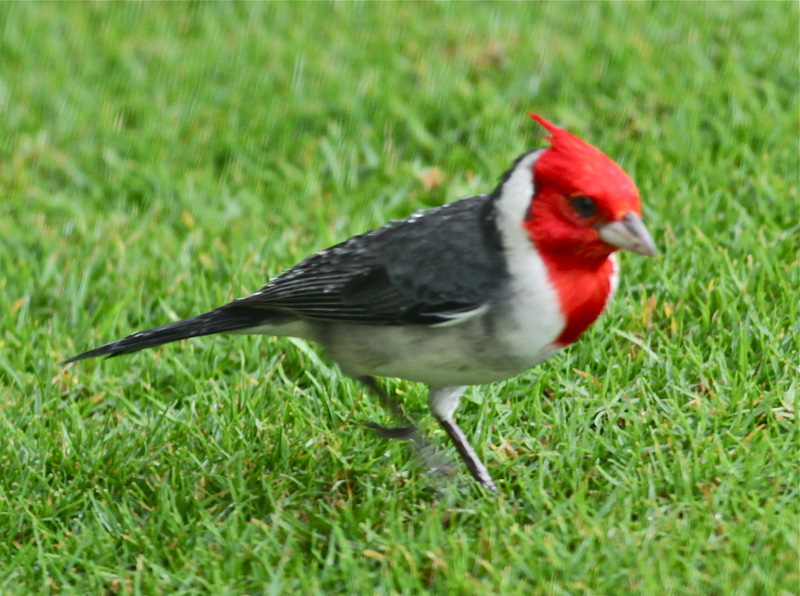 The Roswell birders were friendly and welcoming, and the birding festival was outstanding. It was difficult to believe that it was an inaugural event. 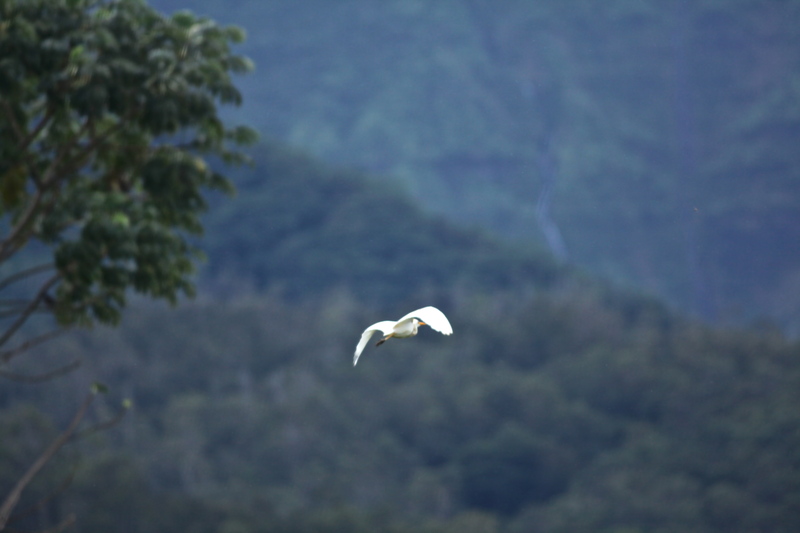 Everything was beautifully organized, and we saw great birds. I am already looking forward to next year’s festival! 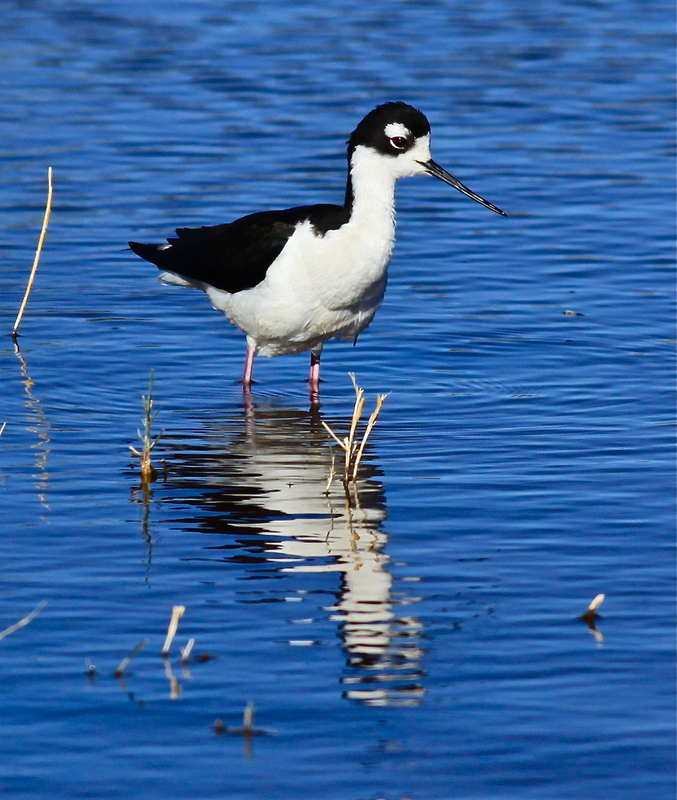 Bitter Lake National Wildlife Refuge is a relatively unknown wildlife refuge located on the Pecos River near Roswell, New Mexico. Because I am from Roswell, I grew up going to Bitter Lake on a regular basis. 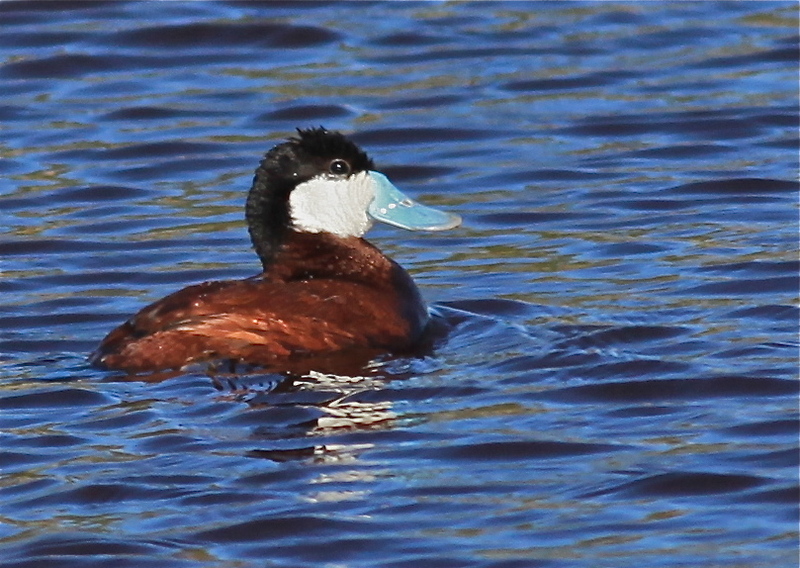 Last weekend I went to Roswell to visit with some friends, and of course I couldn’t wait to make a trip out to the refuge. 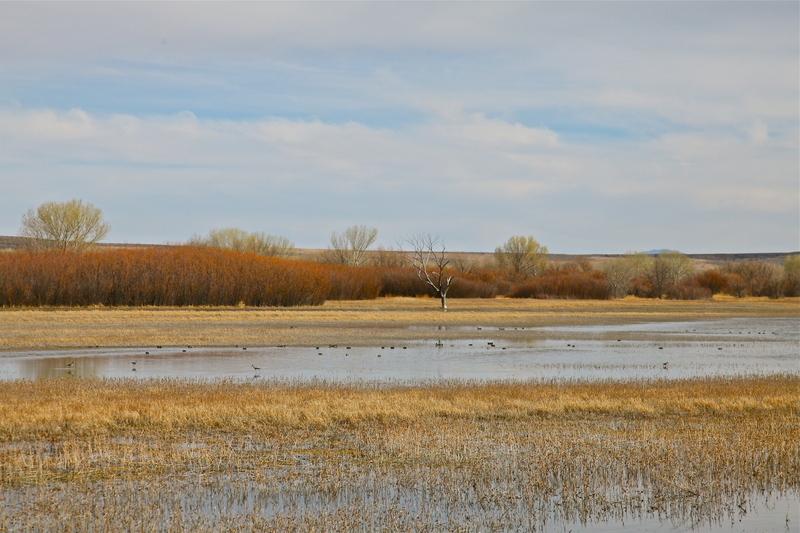 Bitter Lake is a winter home to many Sandhill Cranes, Snow Geese and other winter migrants. I posted earlier this year about my trip to Bitter Lake in February. 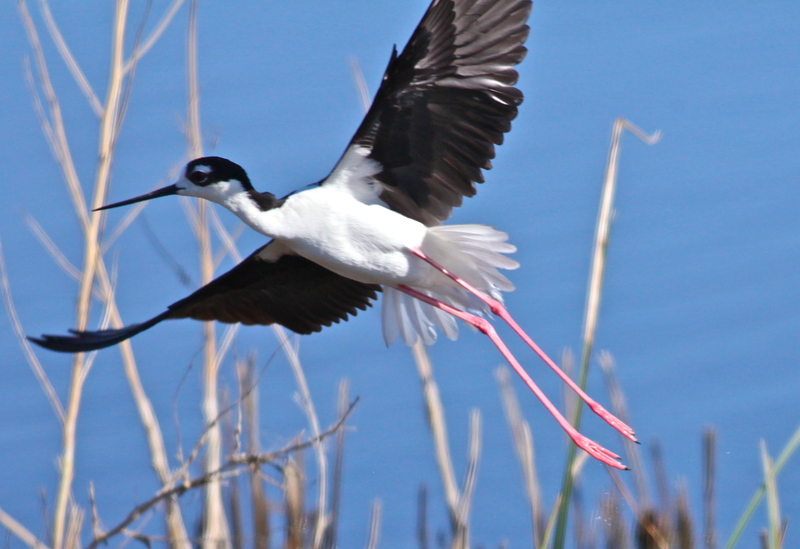 I was surprised by the number of Black-necked Stilts that were at the refuge this past weekend. 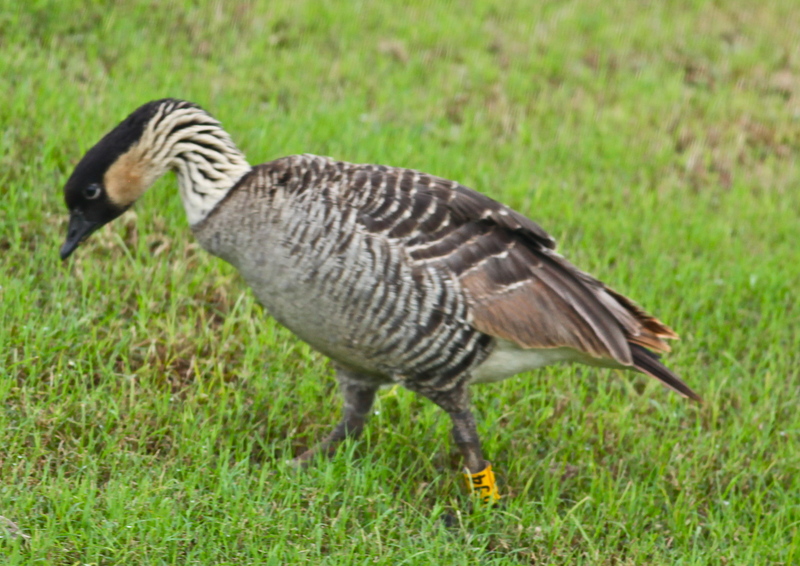 It appeared that there were at least 100 of them in the ponds. 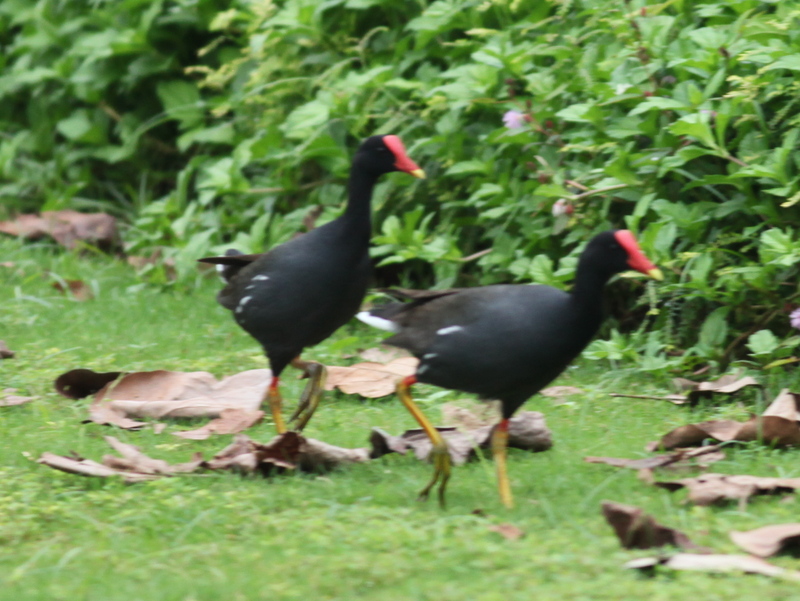 I had a lovely time watching and photographing them. 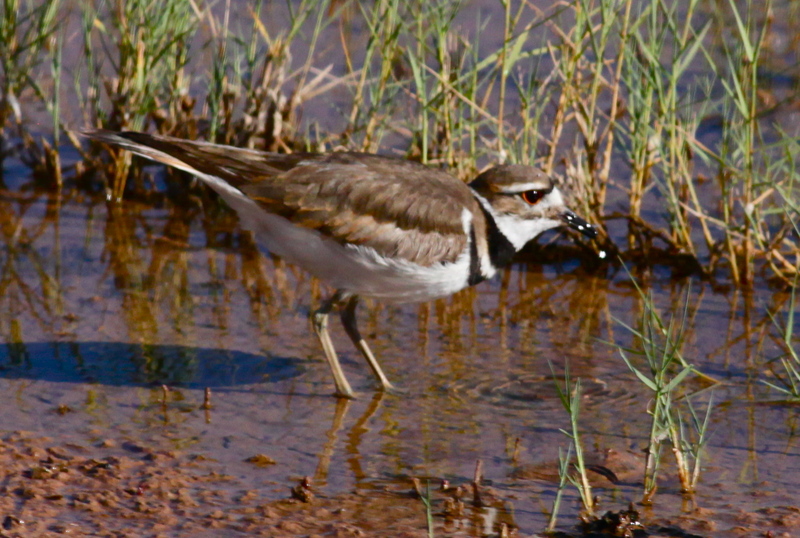 There were lots of Killdeer running around, and I was disappointed that I did not see any little fluffy chicks. 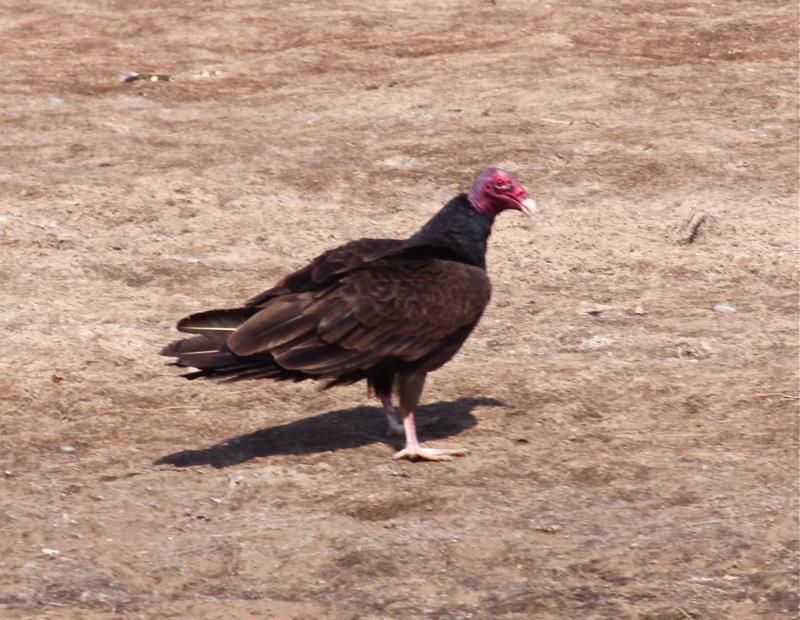 I was interested to see Turkey Vultures walking around near one of the ponds. 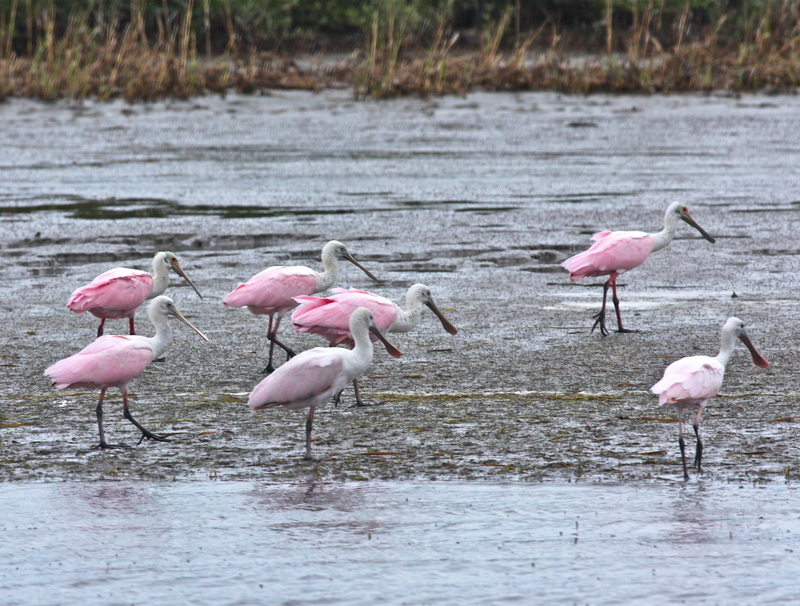 A highlight of my trip to South Texas for the Rio Grande Valley Birding Festival was a pontoon boat trip on Laguna Madre Bay with Scarlet Colley of the The South Padre Island Dolphin Research and Nature Center. 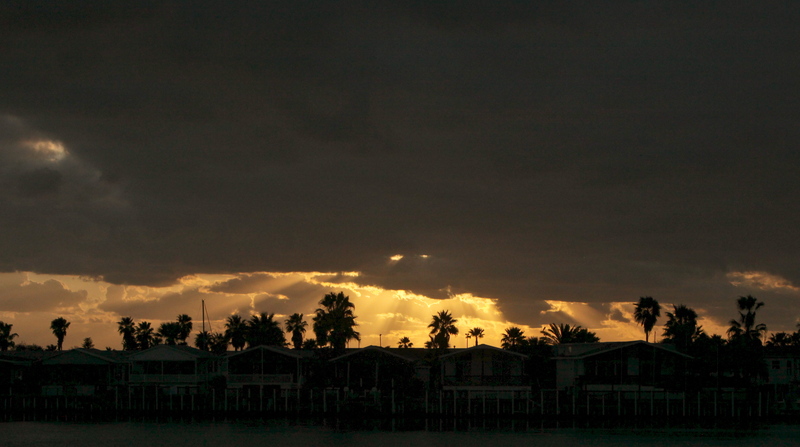 We arrived at the dock in Port Isabel just at sunrise on a cloudy morning. 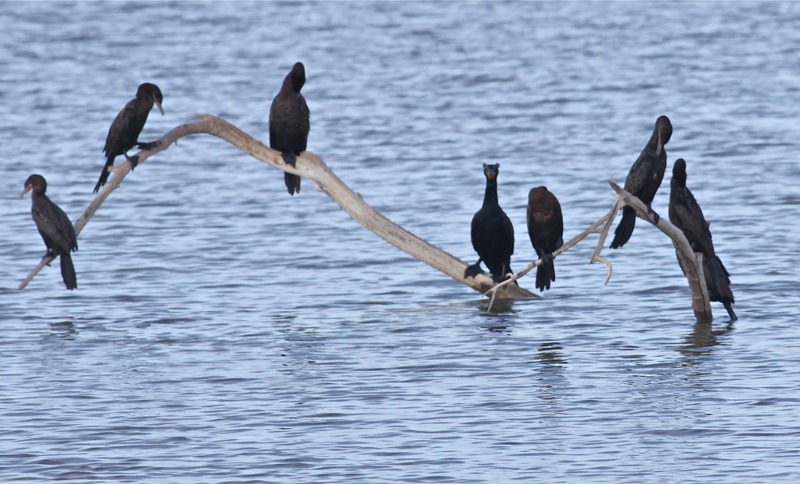 Six of us boarded the pontoon boat with Scarlet and Dan Jones, an excellent local birding guide. 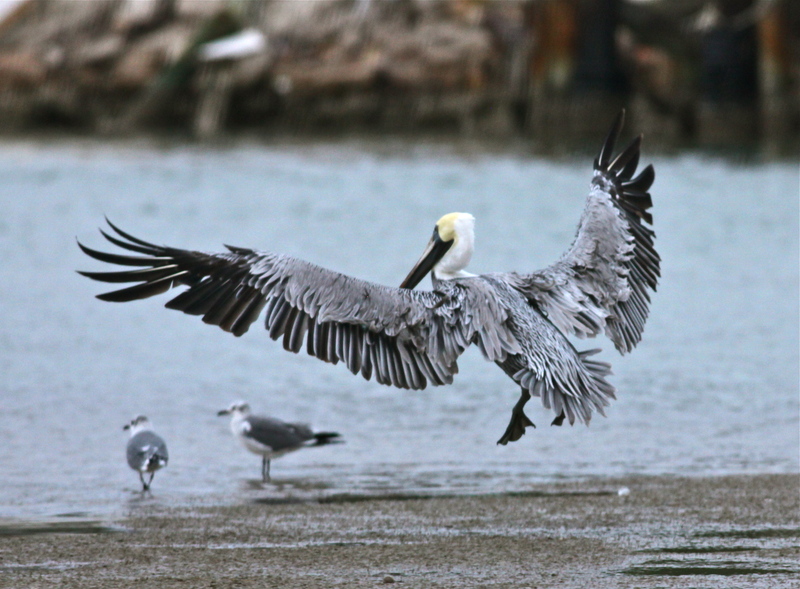 As we cruised slowly around the harbor, Brown Pelicans seemed to be everywhere. 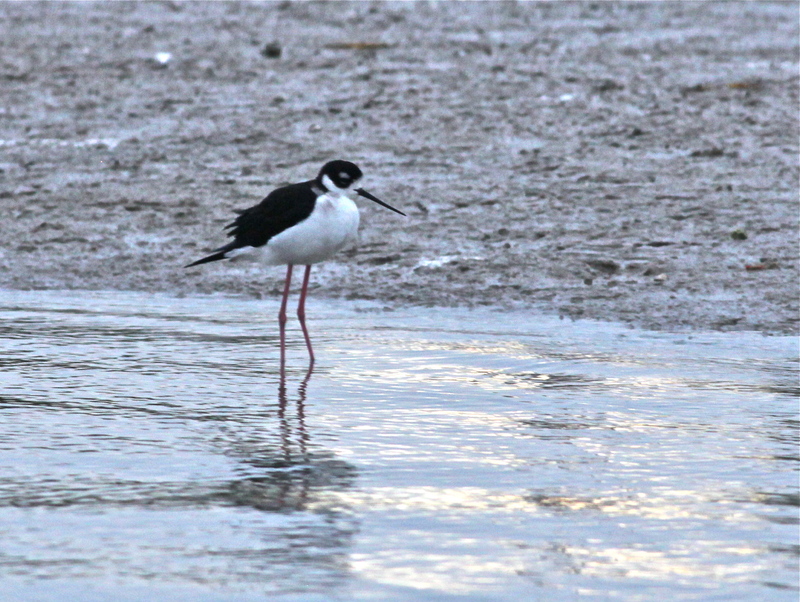 Black-necked Stilts waded in the shallows. 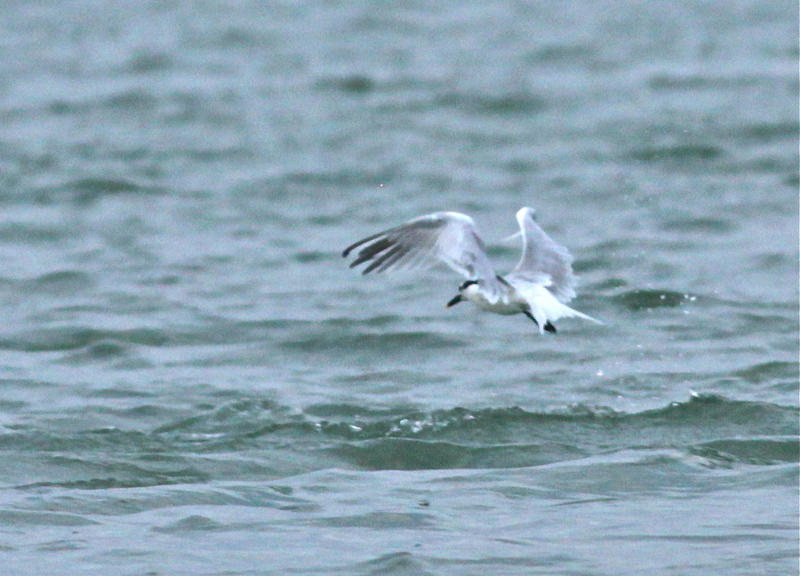 … and a Common Tern hunted overhead. 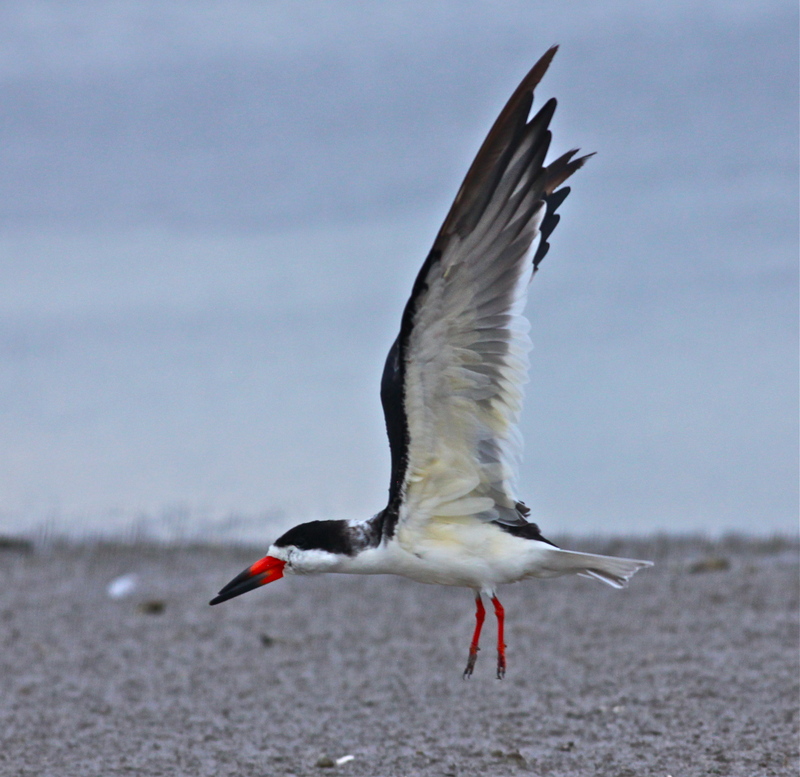 Black Skimmers were resting on the sand bars, occasionally making forays out over the bay. 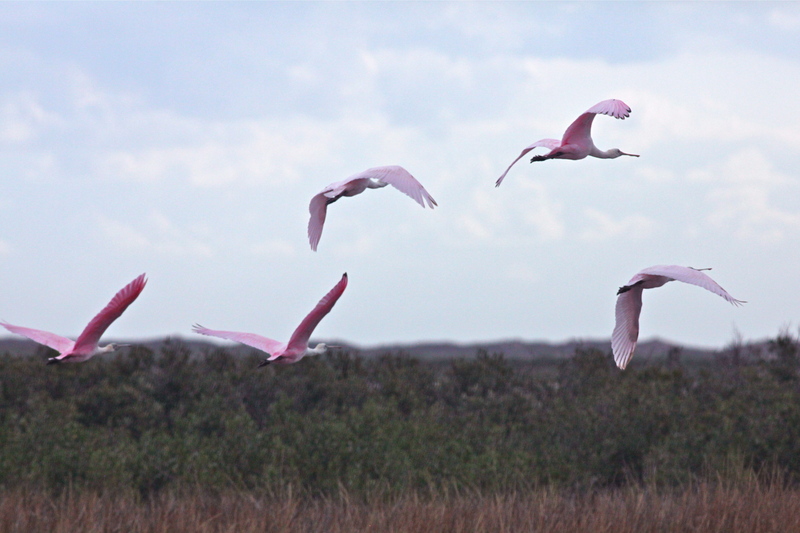 I am always excited to see Roseate Spoonbills with their lovely pink color and prehistoric faces. 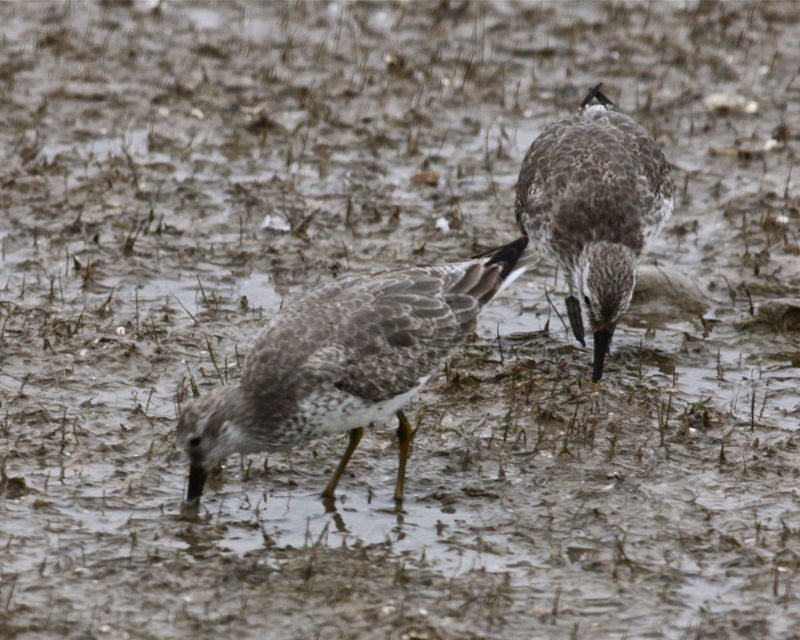 There were groups of Red Knots feeding on the sand bars in the bay. 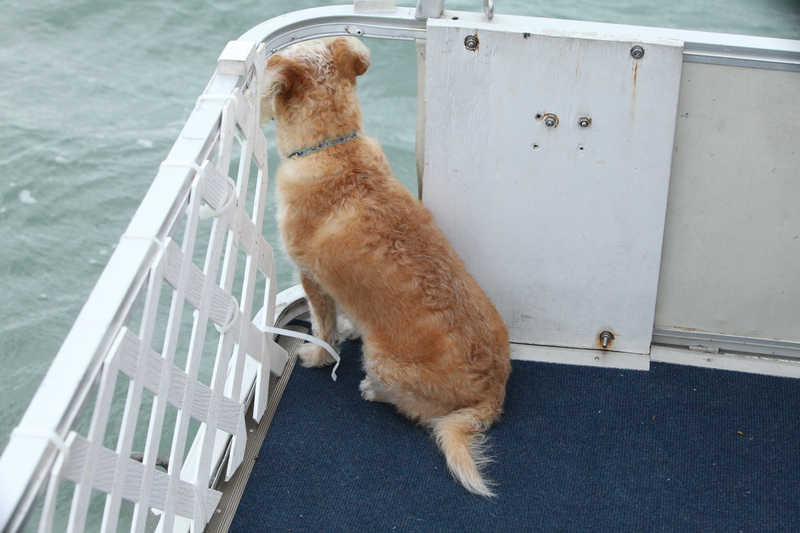 As we headed farther out into the bay Rozzi, Scarlet’s dog, began to bark excitedly. 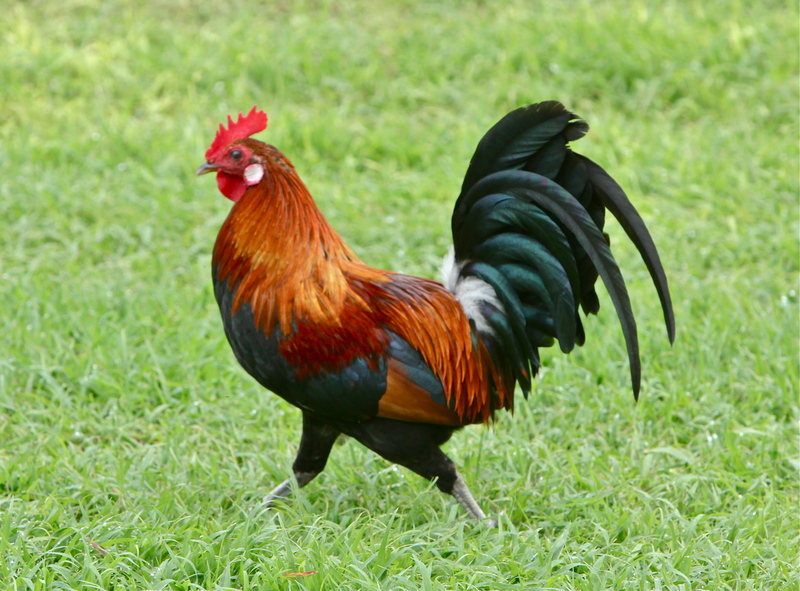 … but I will save that for another post. 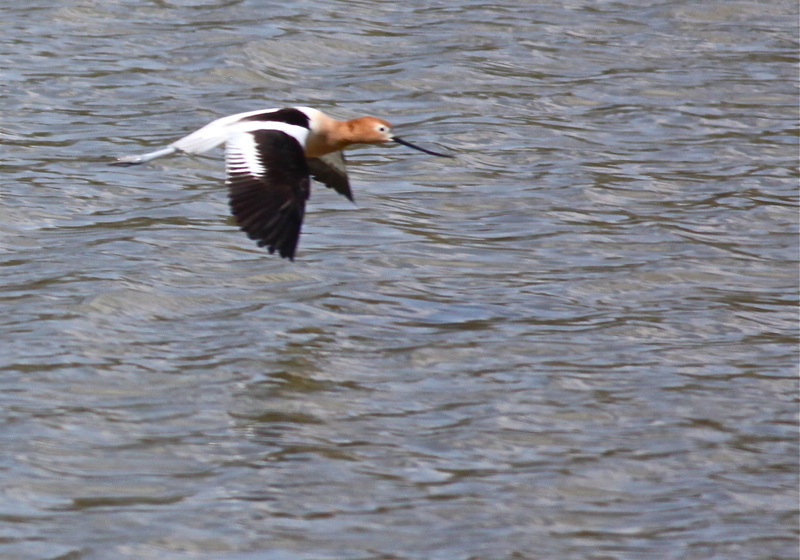 A couple of weekends ago Bosque Bill and I went to Bosque del Apache National Wildlife Refuge. 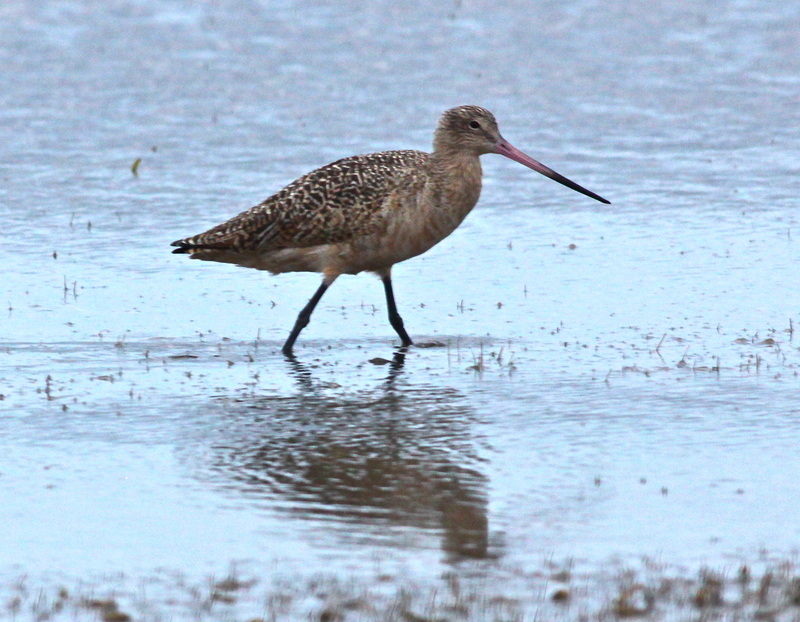 Winter is the usual time to visit the refuge because of the many Sandhill Cranes and Snow Geese that winter there. 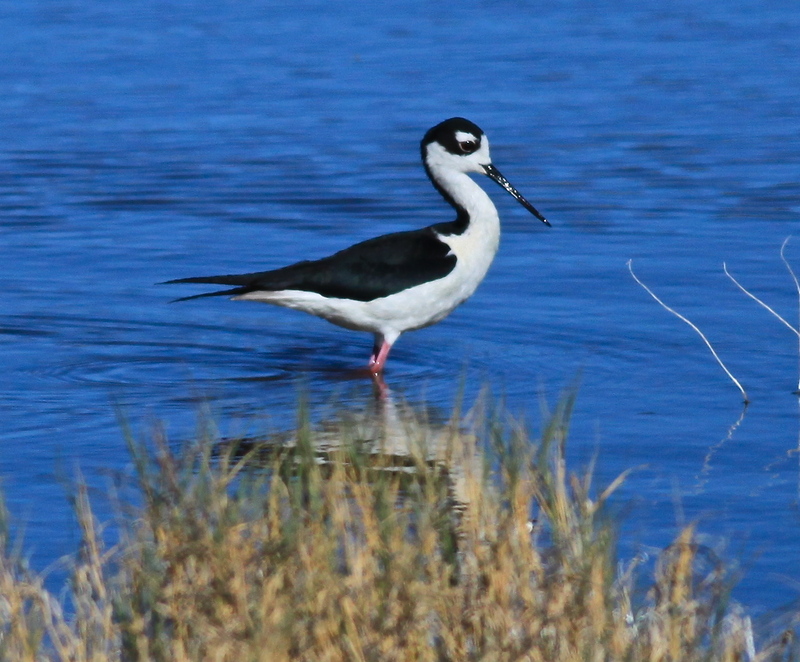 Because birding has been pretty slow in northern New Mexico lately, we decided to travel to Bosque del Apache to see if there were any interesting birds. 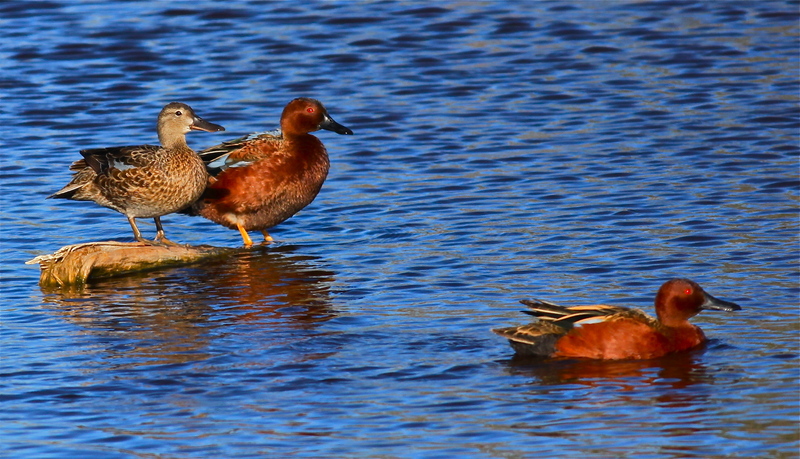 It was a gorgeous early spring day. The light was beautiful. 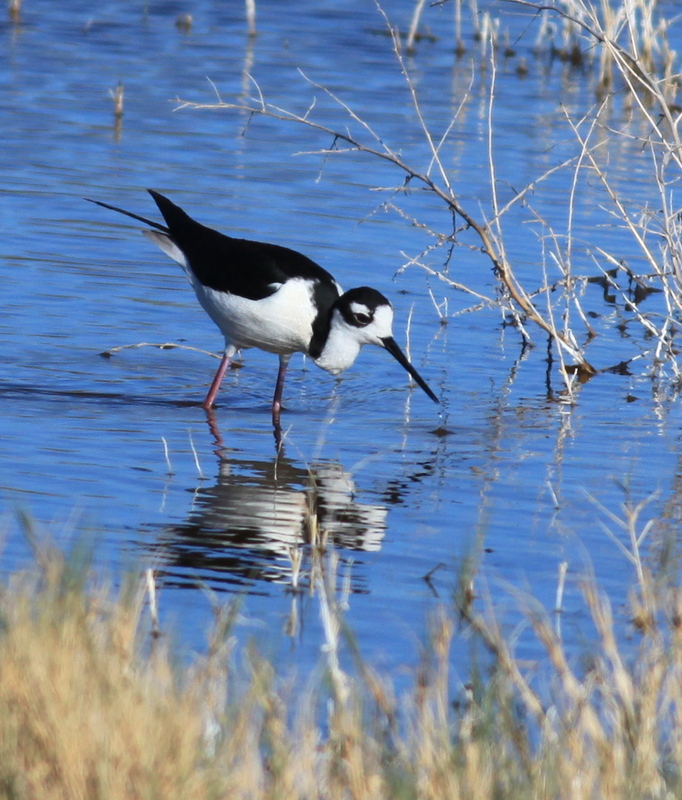 A beautiful day at Bosque del Apache National Wildlife Refuge. 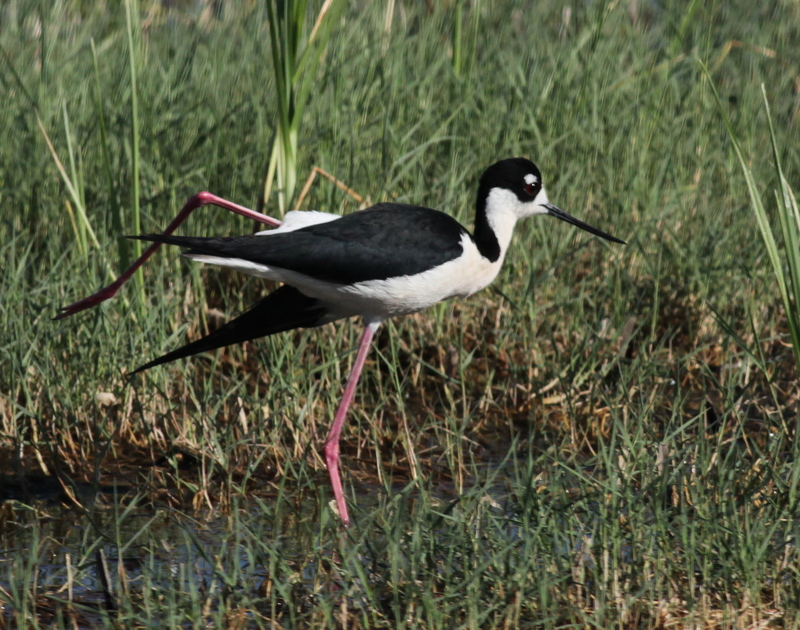 At one pond along the Marsh Loop we saw several Black-necked Stilts wading and feeding. 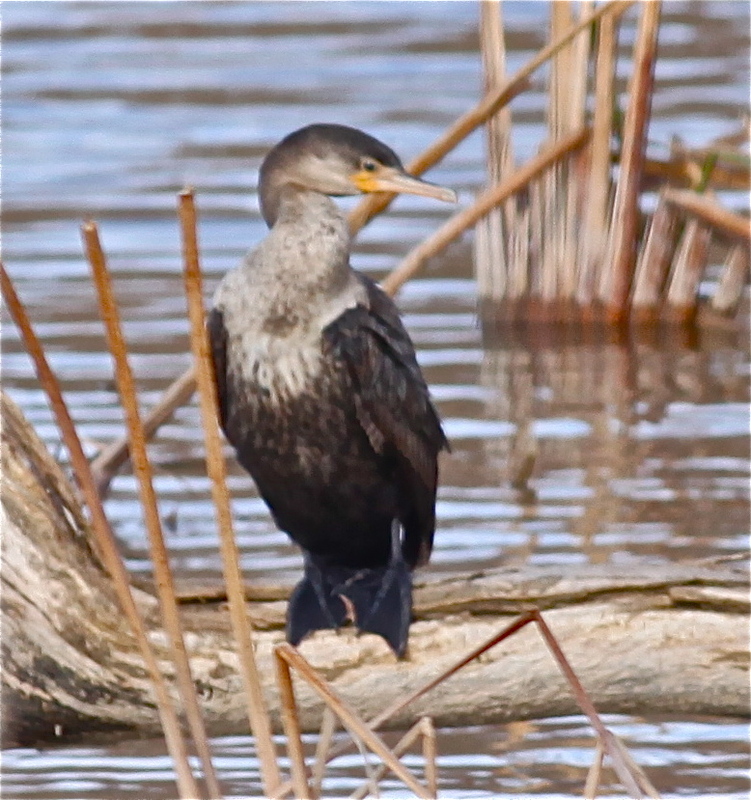 In another pond on the Marsh Loop we saw Neotropic and Double-crested Cormorants. 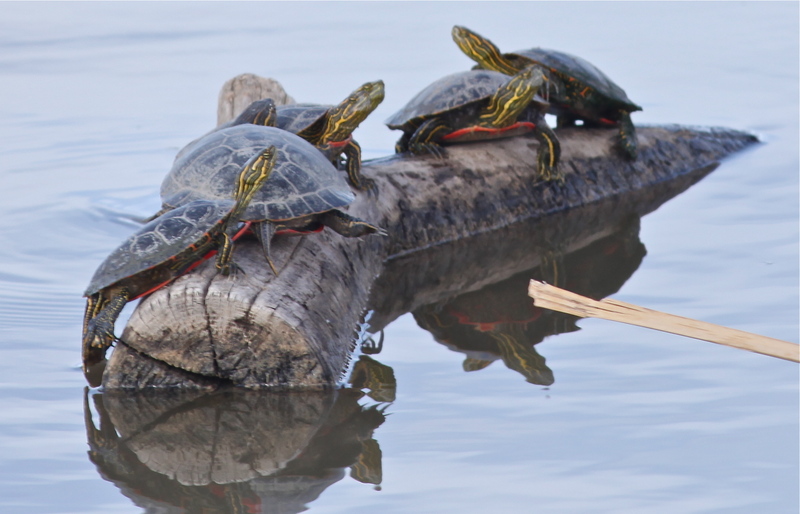 There were quite a few Painted Turtles sunning themselves in the pond where we saw the cormorants. 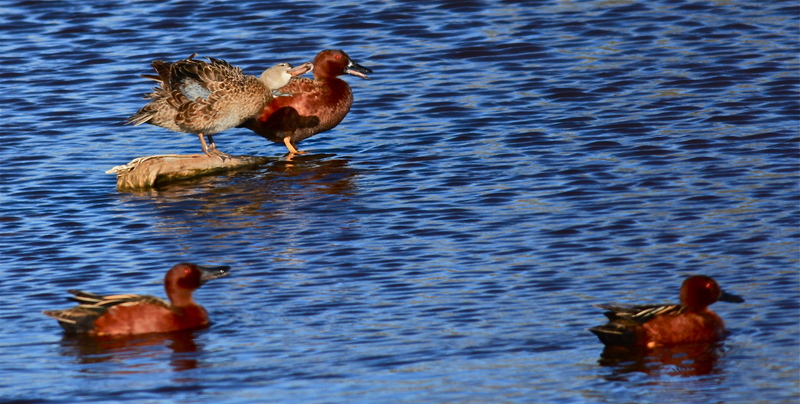 … and Cinnamon Teal in the same pond. 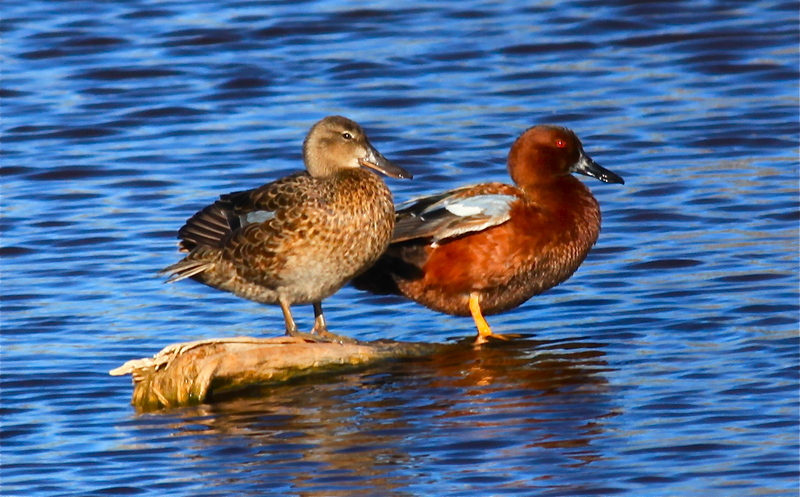 Male and female Cinnamon Teal. 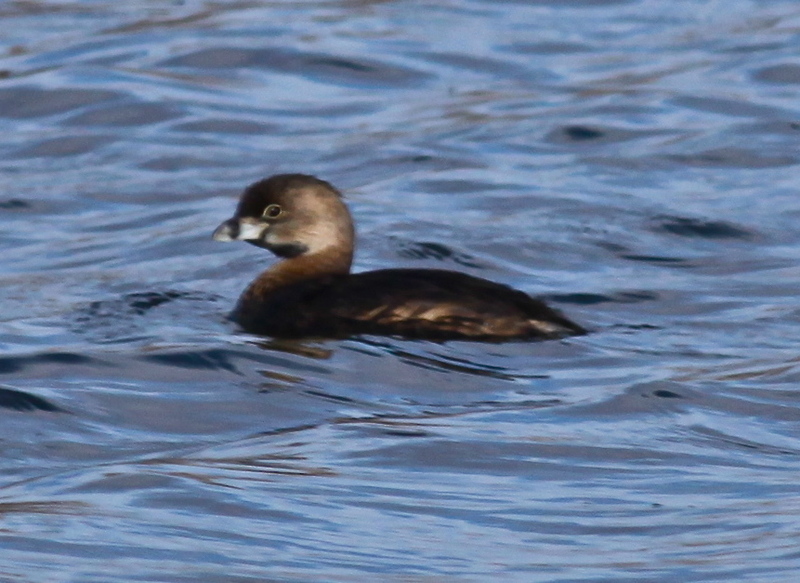 There was a Pied-billed Grebe in that pond too. 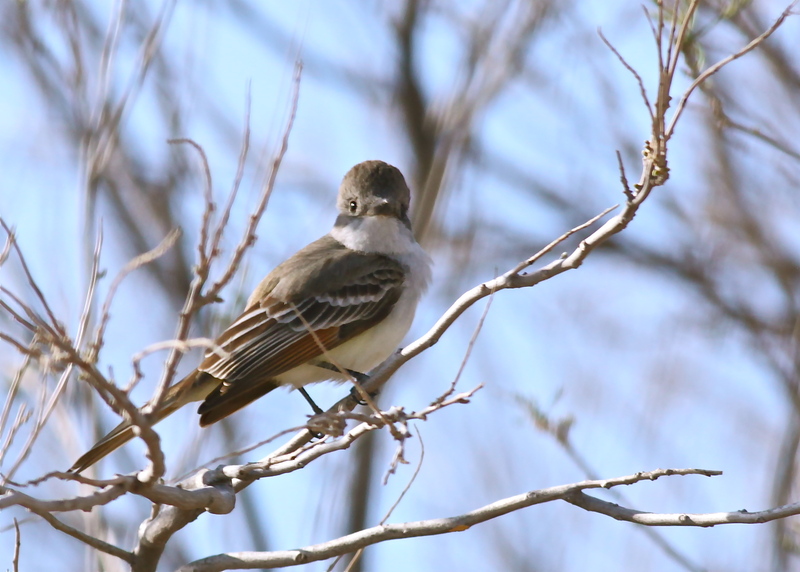 As we continued around the Marsh Loop, we saw a pretty Say’s Phoebe in a New Mexico olive tree. 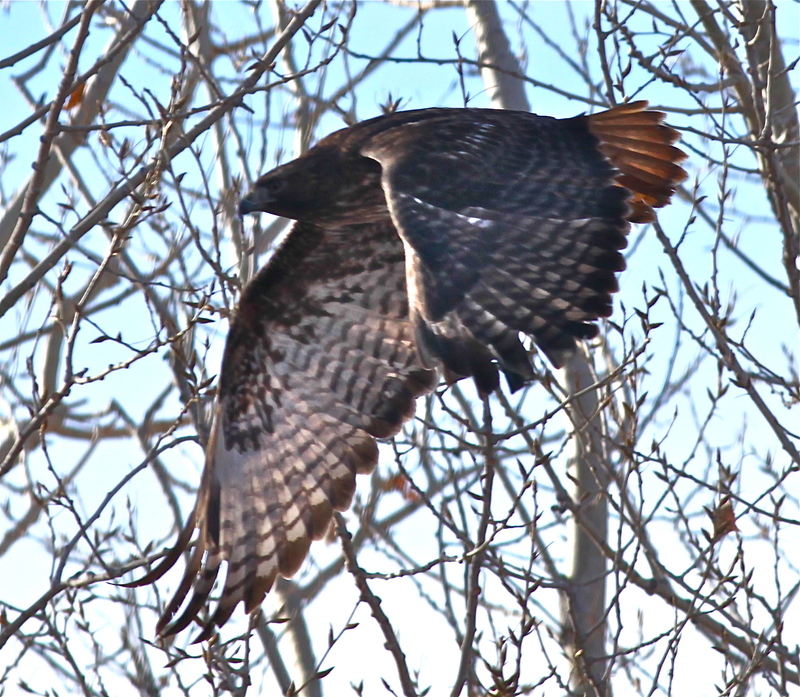 A Red-tailed Hawk flew through the cottonwoods. 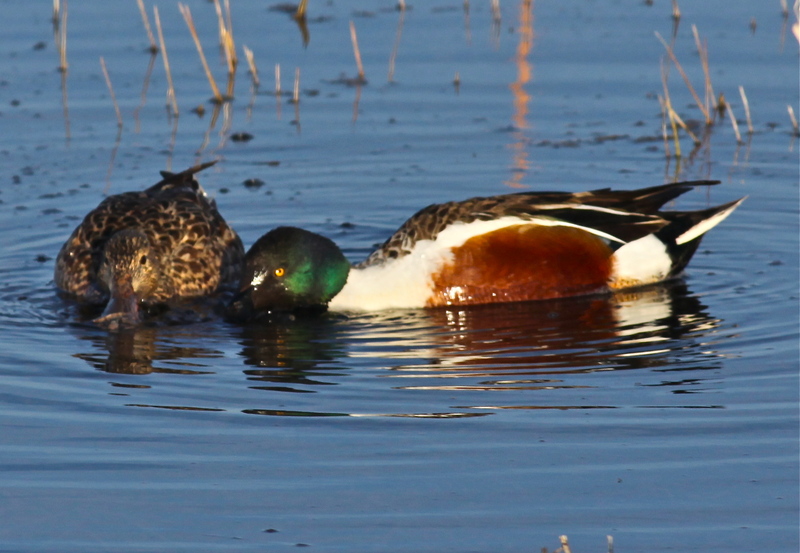 Male and female Northern Shovelers. 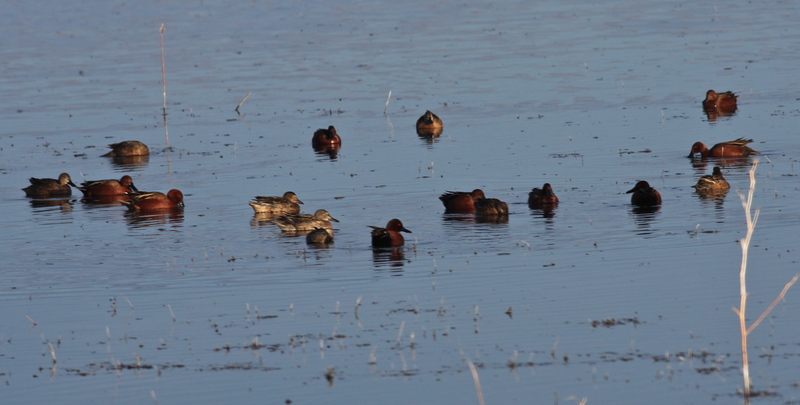 … and there were many more Cinnamon Teal in the Farm Loop pond as well. 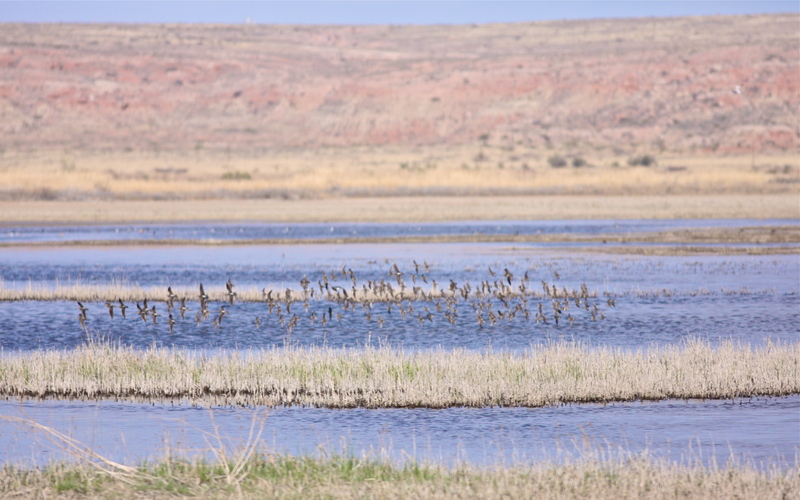 We had been told at the Visitors’ Center that the Sandhill Cranes had left for the year, and so we were surprised to see several hundred Lesser Sandhill Cranes at the Crane Pools as we left the refuge. 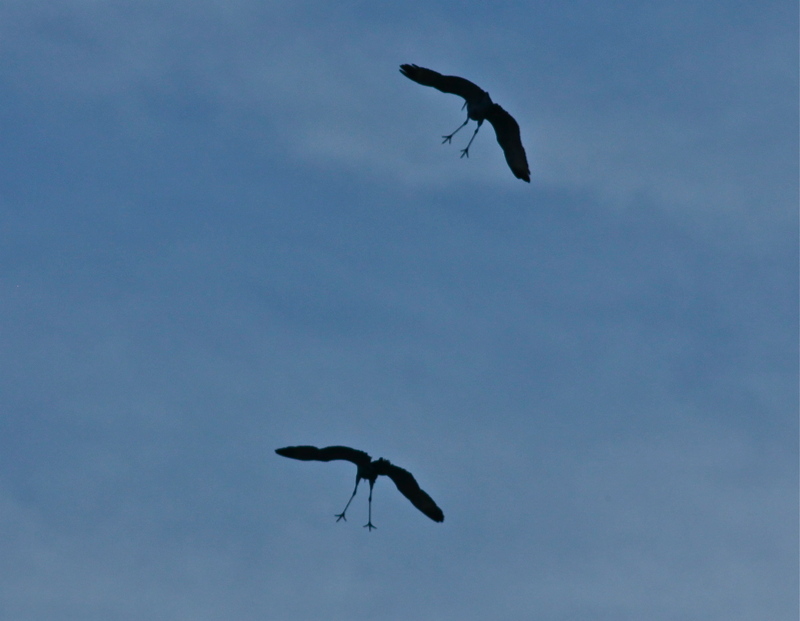 Lesser Sandhill Cranes fly in at sunset. 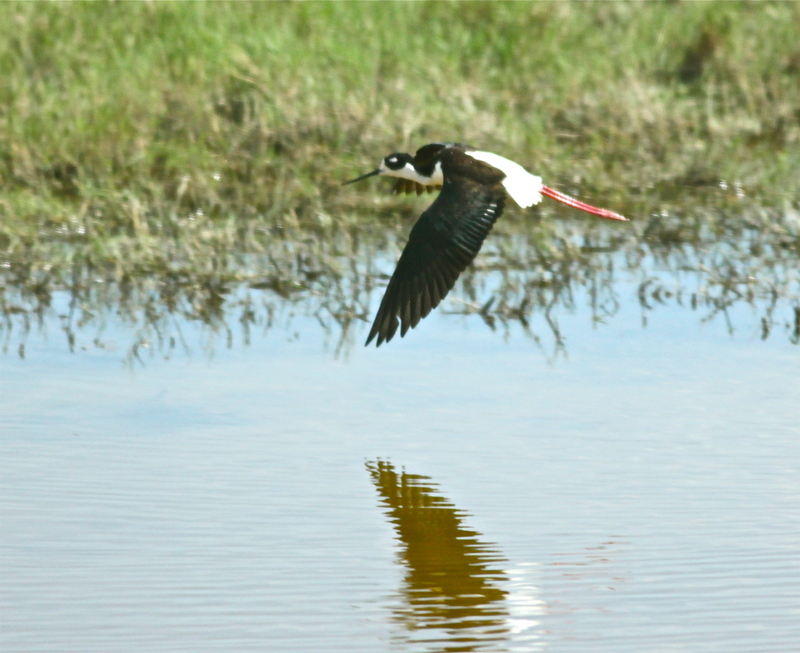 We went to Bosque del Apache with few expectations, and we had a lovely time. The green chile cheeseburgers that we had for lunch at the Buckhorn Saloon were outstanding too! Last week I had a horrible day in court in Los Lunas, which is the county seat of Valencia County, south of Albuquerque. I lost a case I should have won. The preparation and presentation were as good as I could have possibly done. Some days the judge does not agree with you. After a bad day in court I needed some time outdoors. 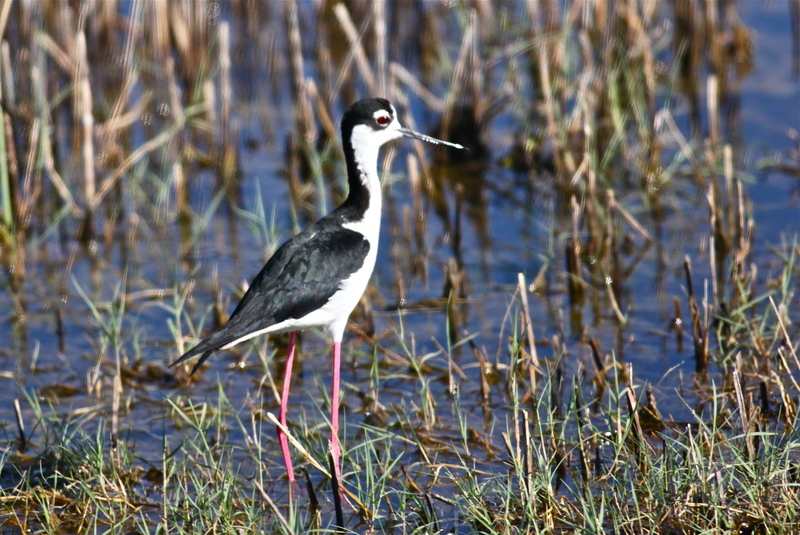 The Belen Marsh is about 10 minutes from the Valencia County Courthouse, and I knew that I would feel better if I spent some time there. 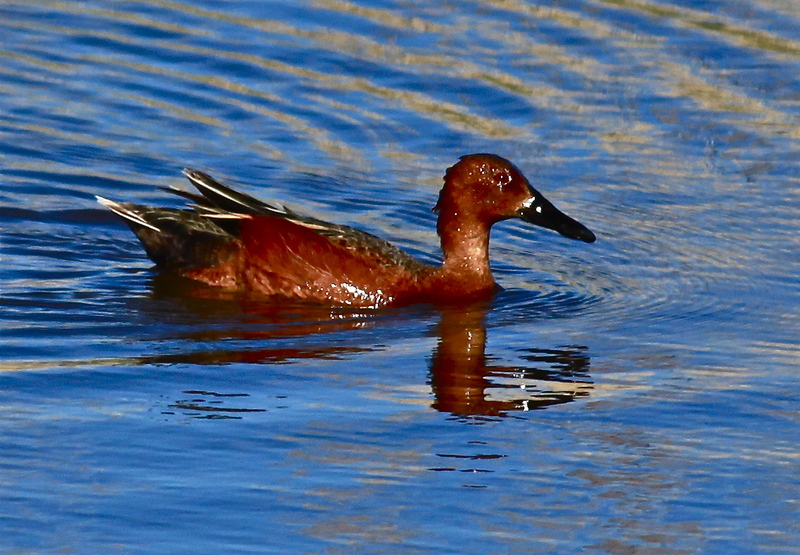 John Fleck of the Albuquerque Tribune has written a nice article on the Belen Marsh, which is located right next to a Taco Bell and is sometimes known as the Taco Bell Marsh, and Ryan Beaulieu, the young man who is credited with discovering the Belen Marsh and bringing it to the attention of the birding public. When I arrived at about 5:30 p.m. it was cool and very windy. 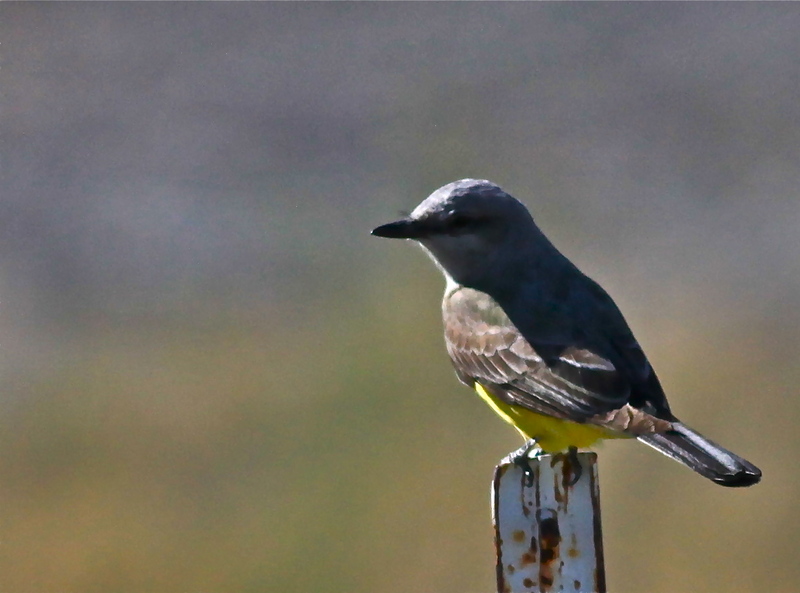 The first thing that I saw was a Western Kingbird sitting on the fence next to the Taco Bell. 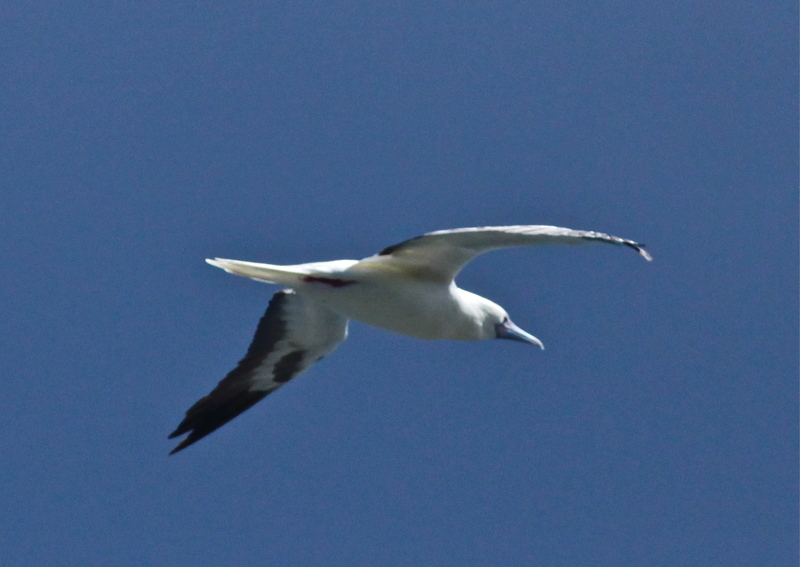 The light could not have been more wrong for a photo but still, it’s a beautiful bird. 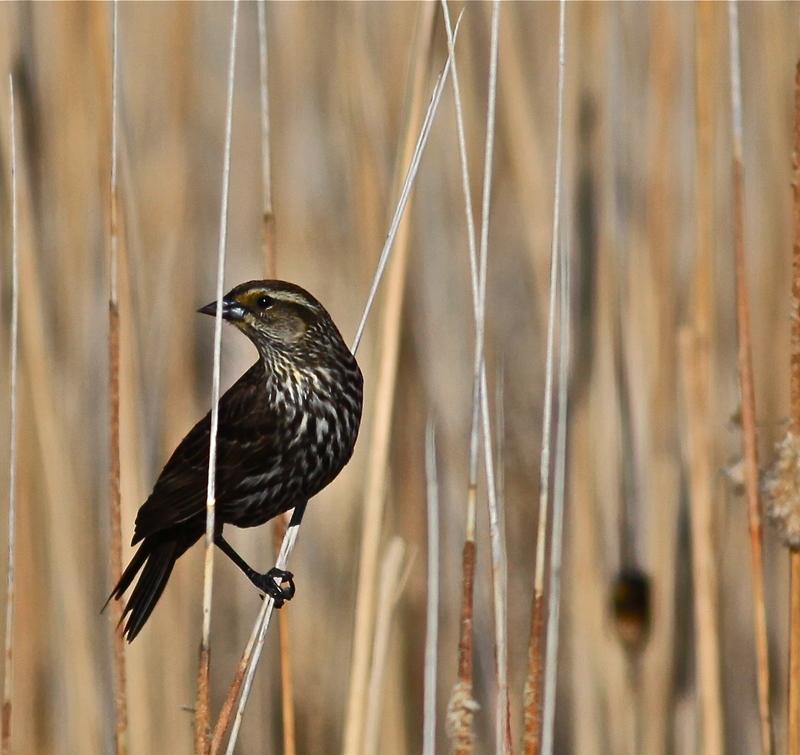 There were many male and female Red-winged Blackbirds on the cat-tails in the marsh, and I began to feel better as I listened to their beautiful song. 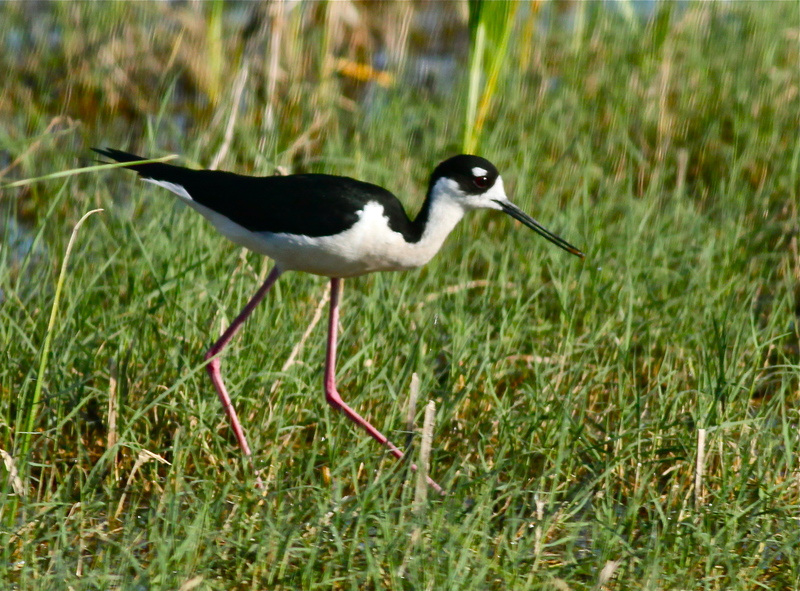 There were many Black-necked Stilts walking around in the marsh. 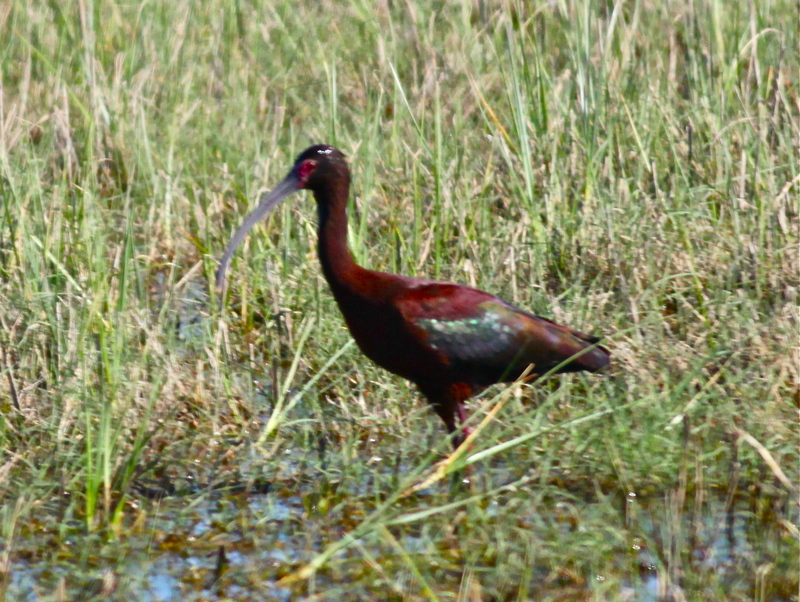 It was fun to watch them walking and picking through the marsh. 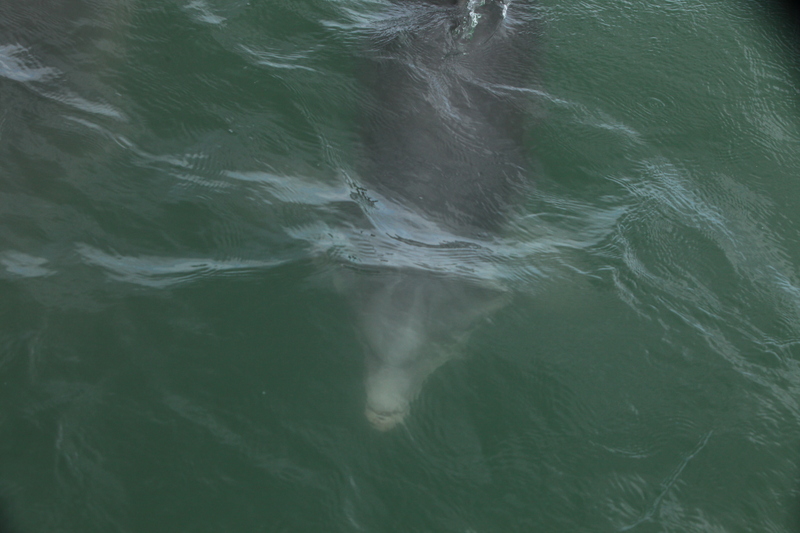 I began to smile as I watched them. 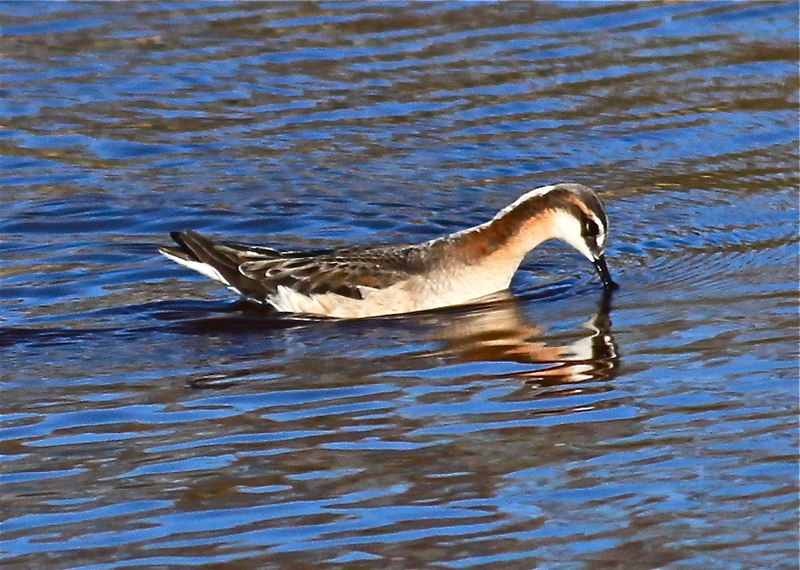 It was even more fun to watch the Wilson’s Phalarope spinning in tight circles as they fed. 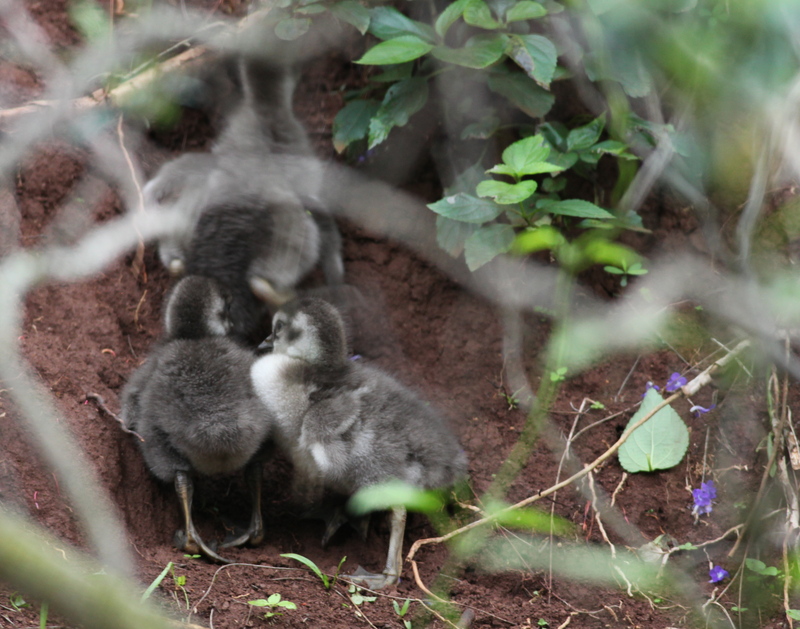 As I watched them I found that I was starting to forget all about my bad day in court. 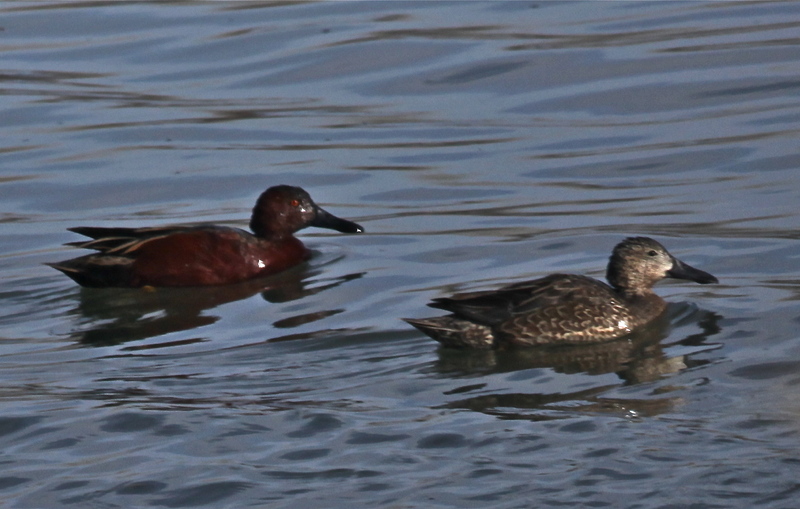 There were beautiful Cinnamon Teal, shy Ruddy Ducks and stately Northern Shovelers in the marsh. 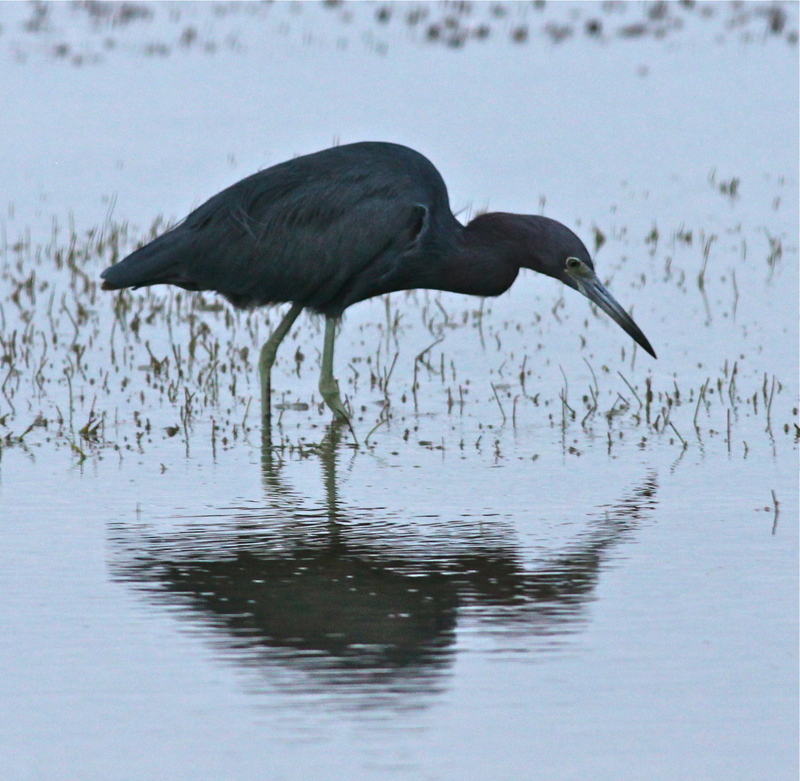 As I watched them swim serenely in the marsh ponds I felt the last traces of stress and anxiety slip away, and I began to truly enjoy the early evening in the marsh. 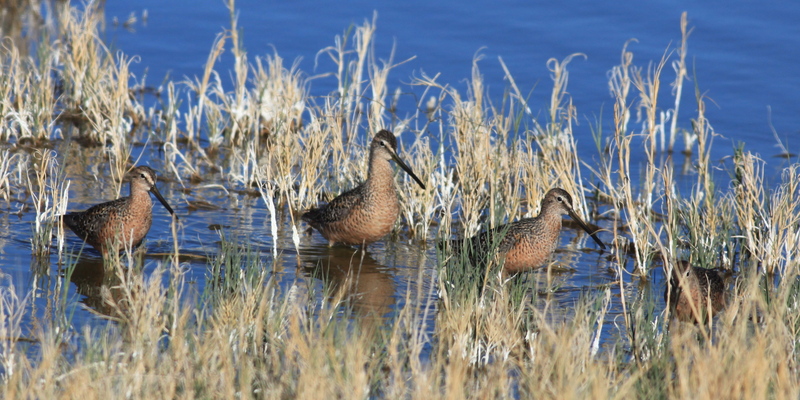 I began to prepare to return to what these days passes for civilization and noticed a group of Short-billed Dowitchers feeding near the edge of the marsh. 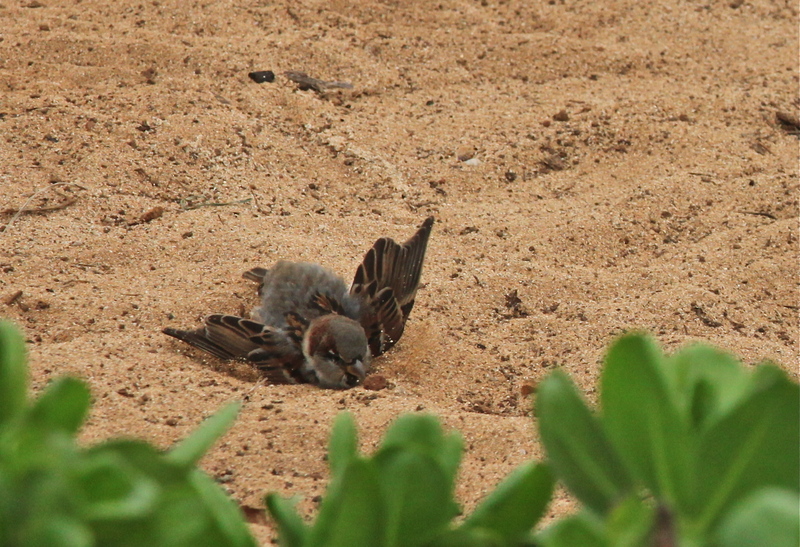 Watching these lovely shore birds as they fed was a wonderful conclusion to a pleasant visit. 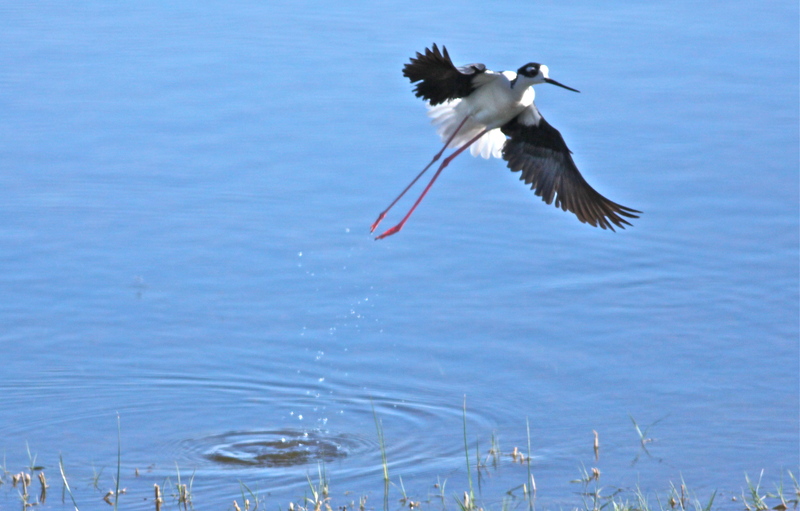 I left the Belen Marsh with my mind and spirit refreshed. 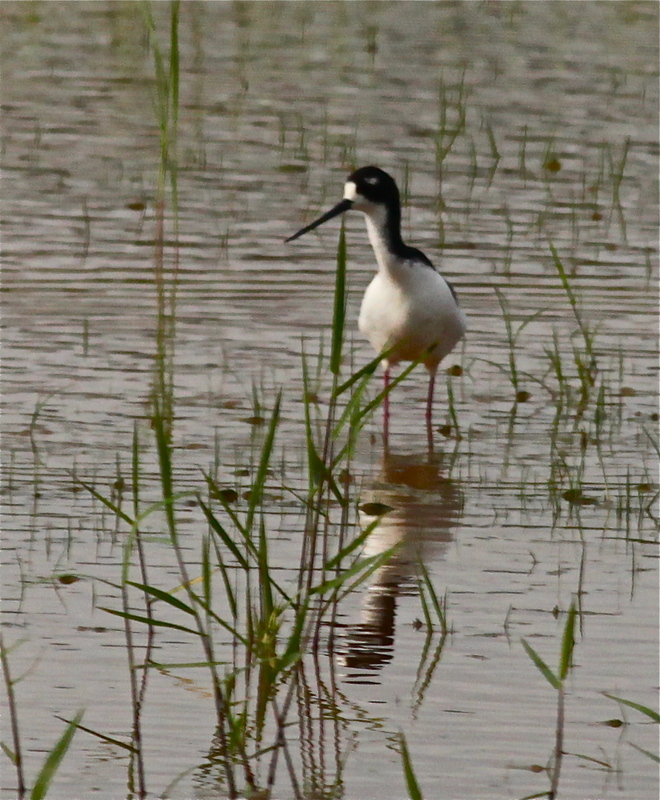 Here is a short video of Black-necked Stilts and Wilson’s Phalarope feeding in the marsh. 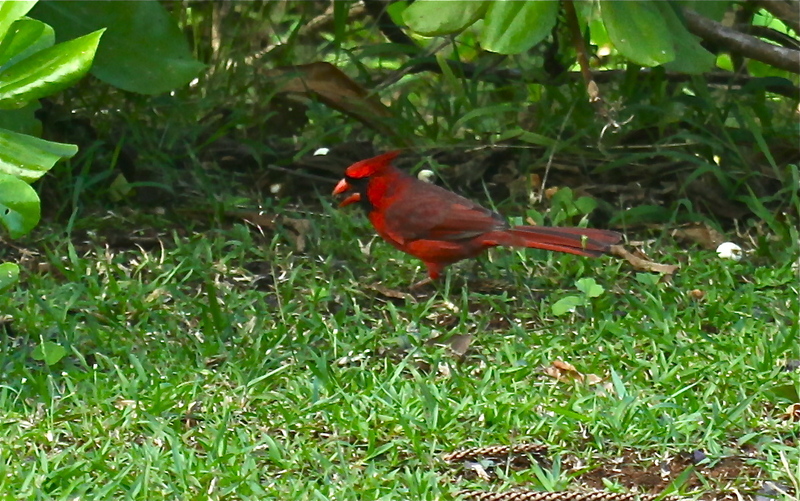 I did not have my tripod with me and the wind was pretty fierce; still the video does show the feeding behavior of both species. 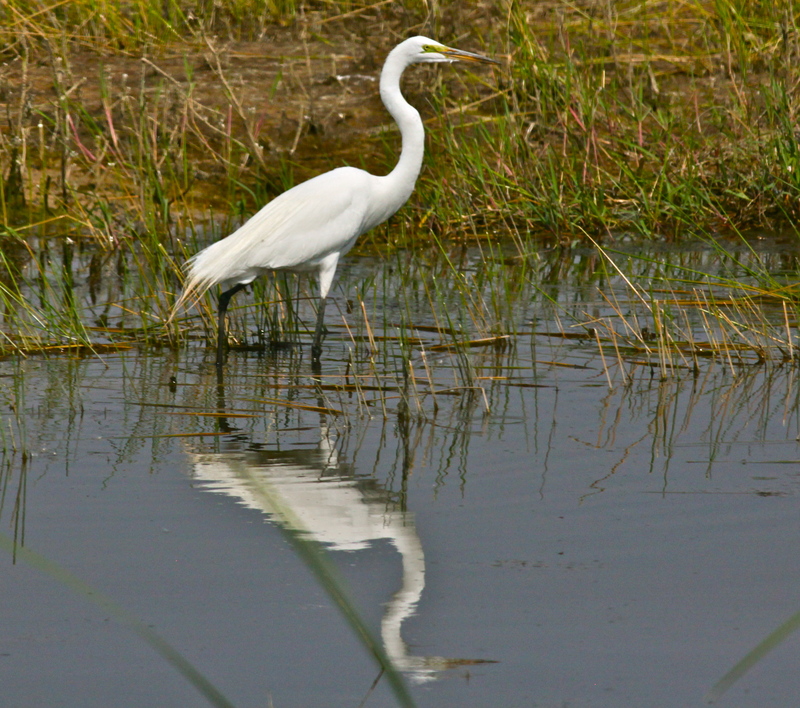 The Belen Marsh is a small 16.5 acre “accidental” depressional wetland that occurred when a high water table in the area caused water to seep into an area that was excavated to obtain dirt for a nearby road construction project. 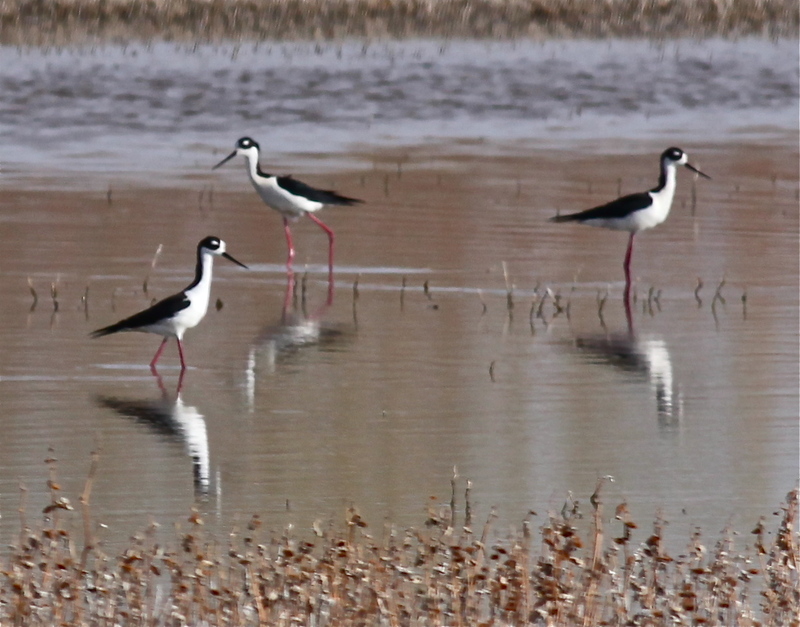 It is a small but important birding area, and New Mexico birders appreciate the efforts of the Belen Marsh Committee, the Valencia County Fair Association and the Central New Mexico Audubon Society to maintain it as a marsh.